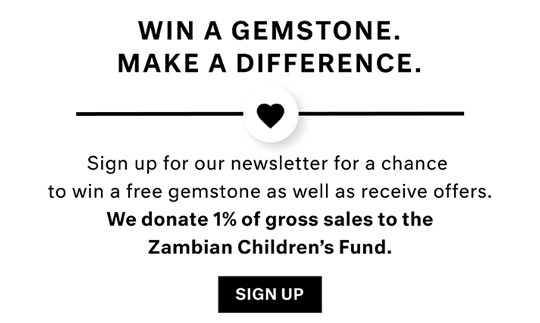 How much time, money and energy do we squander chasing fads that quickly fizzle? 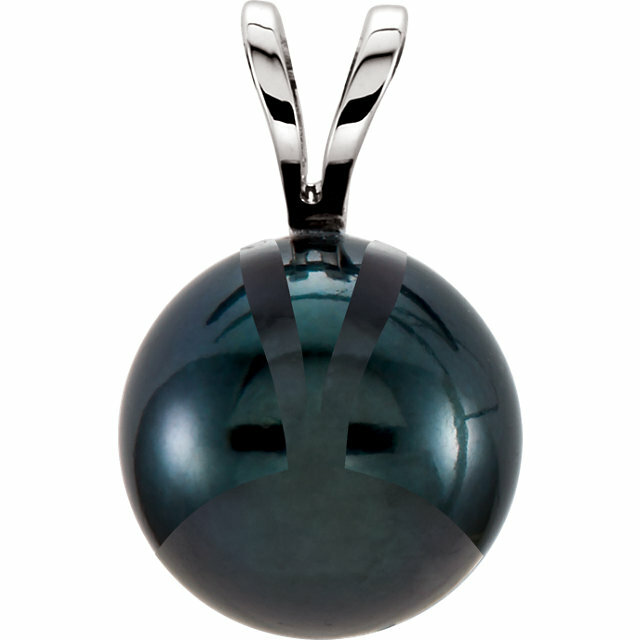 Don�t waste your time with this season�s supposedly �hot� item when next month it will be the �not� item! 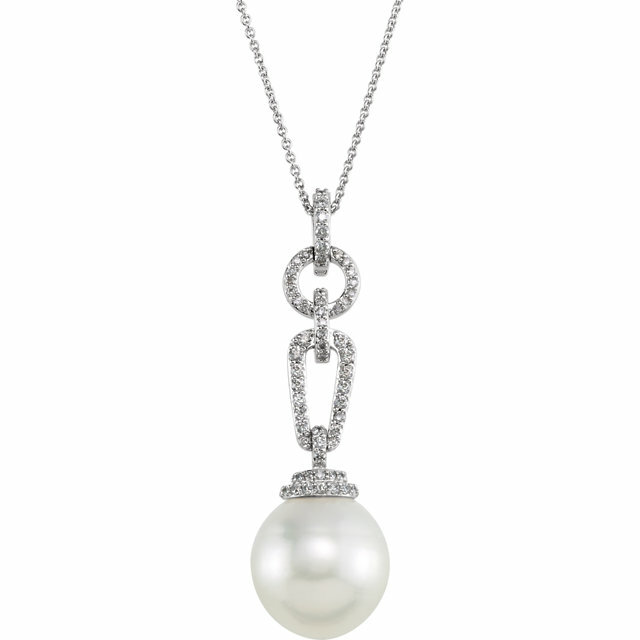 Stick with the classics. 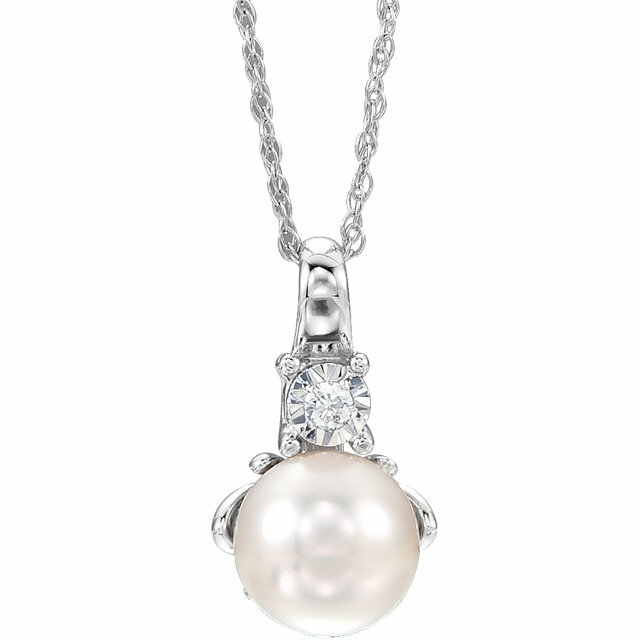 You can never go wrong with pearls. 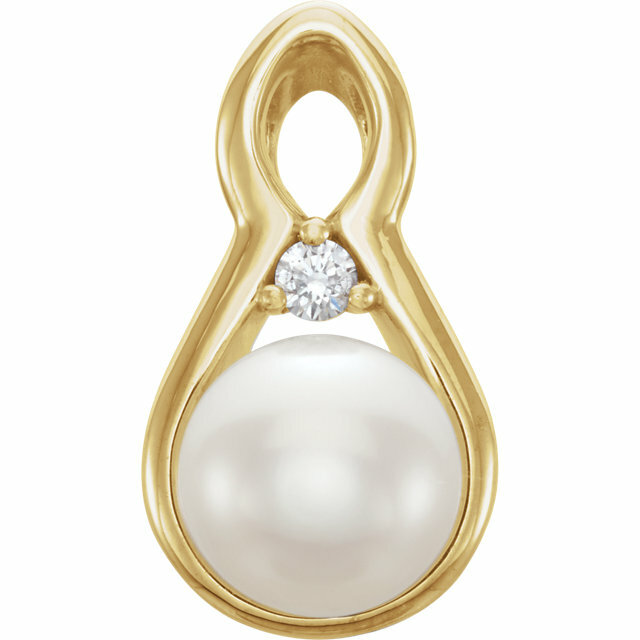 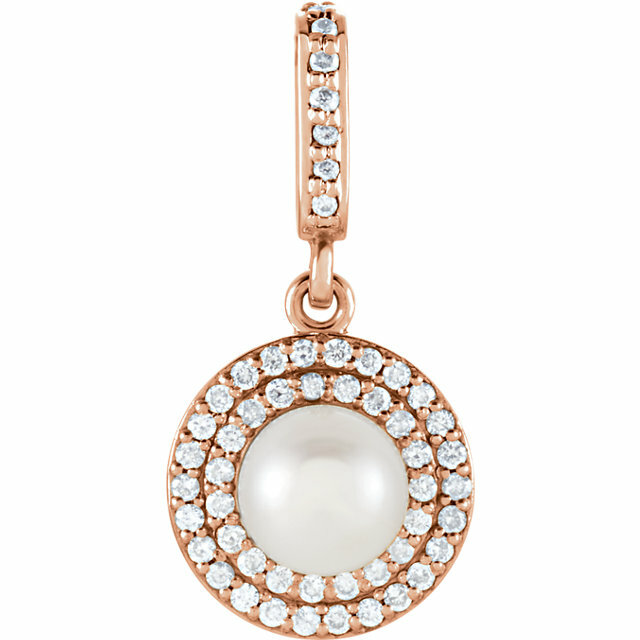 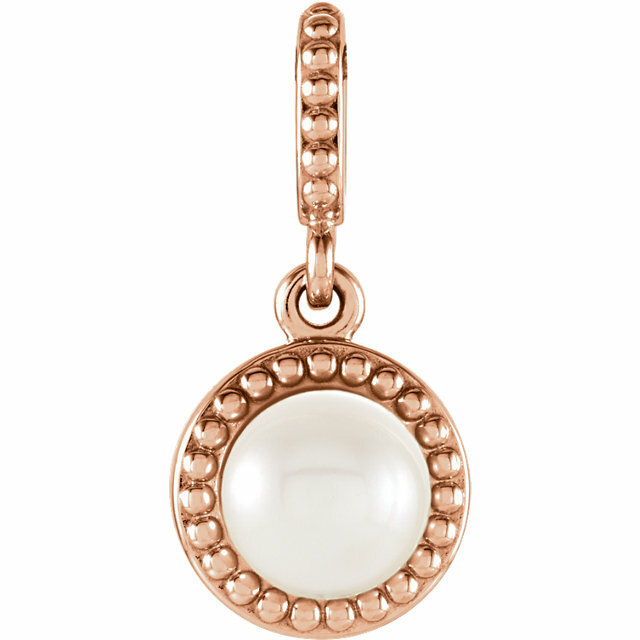 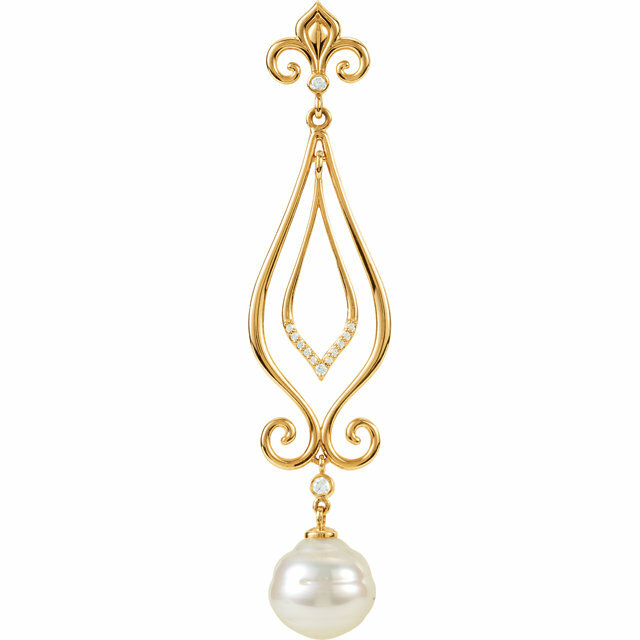 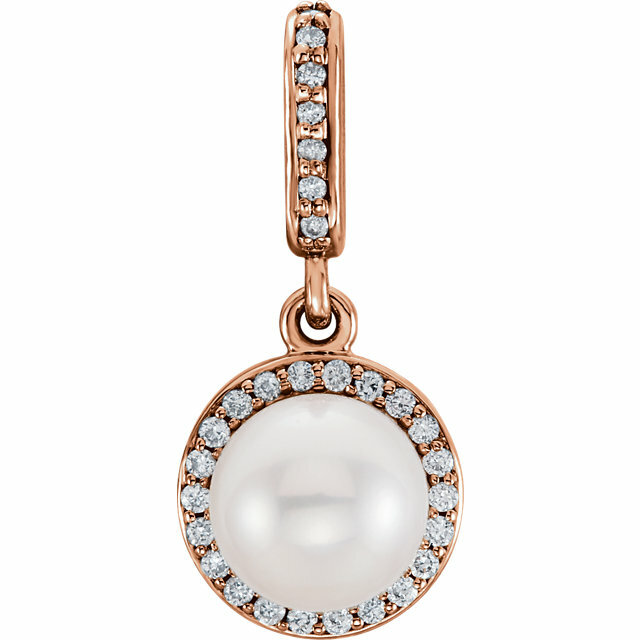 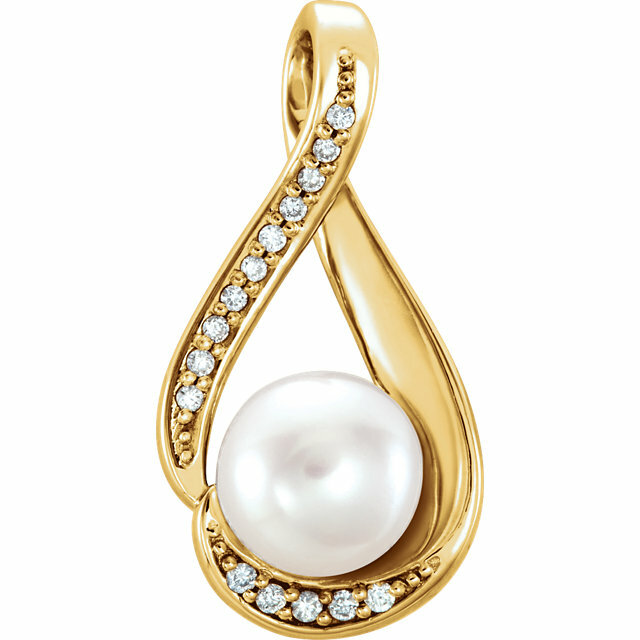 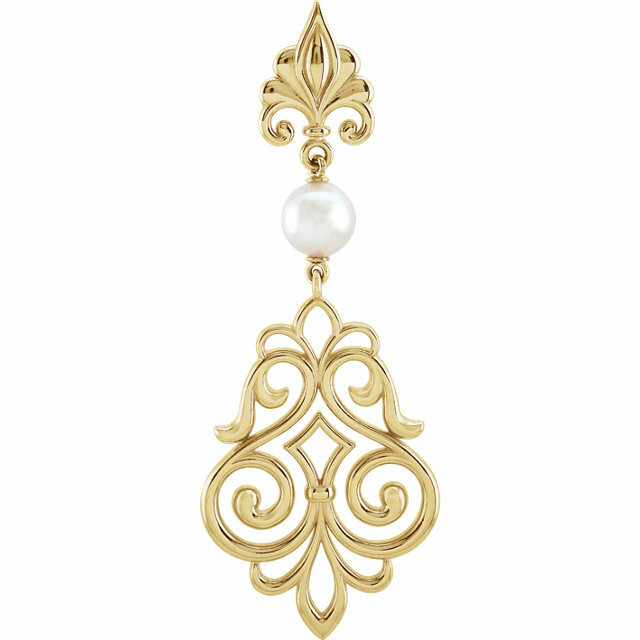 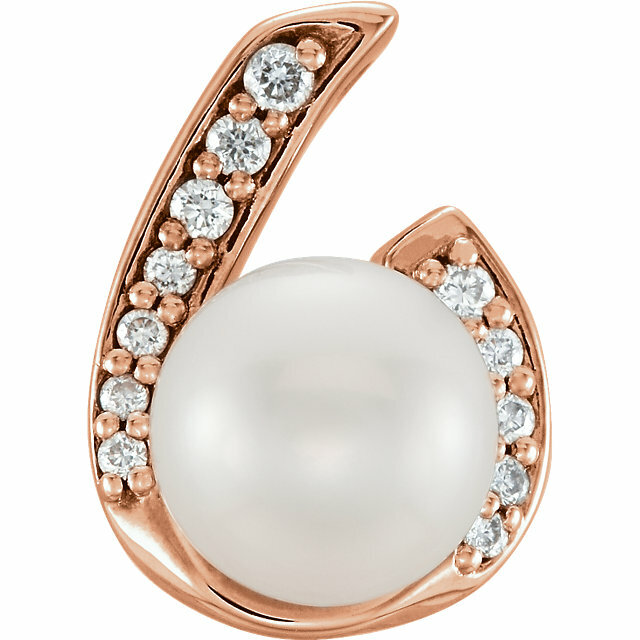 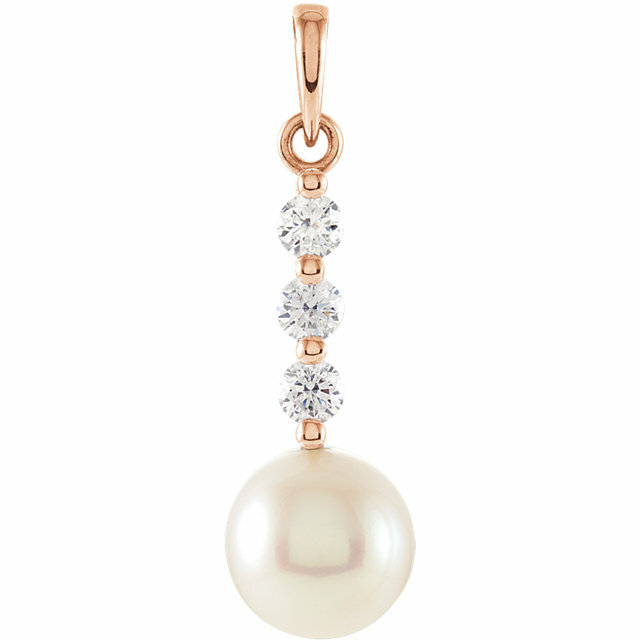 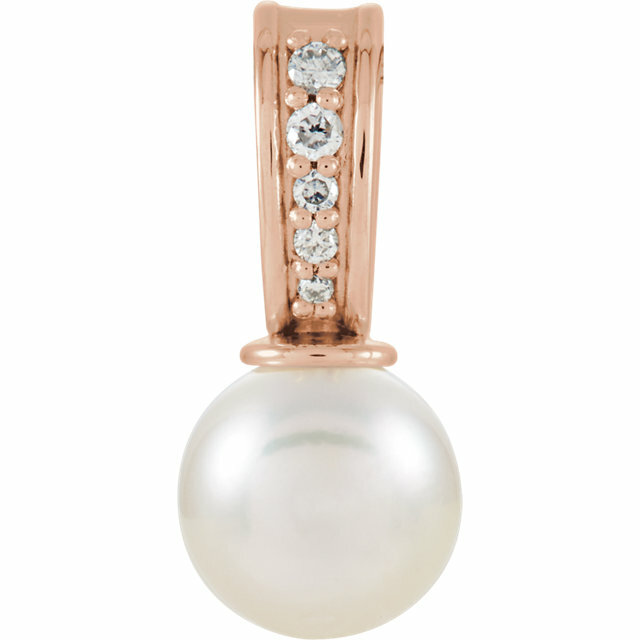 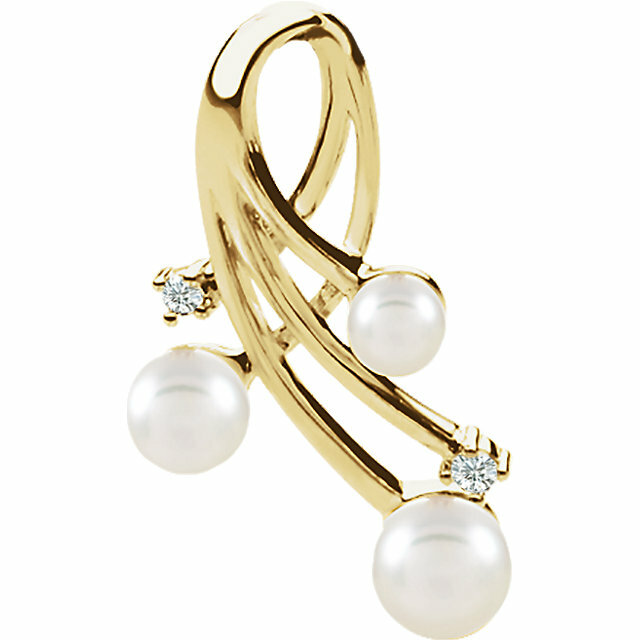 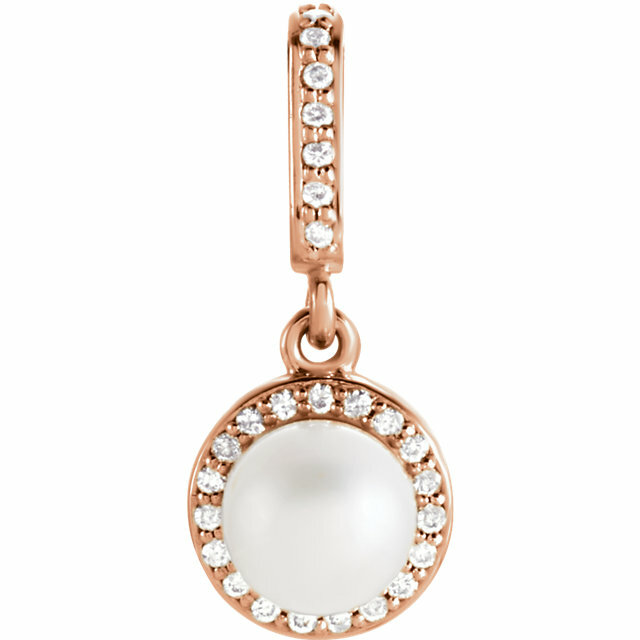 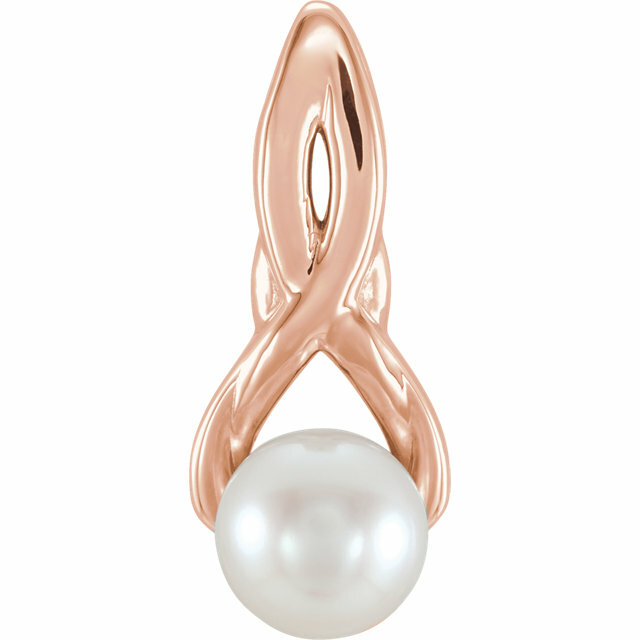 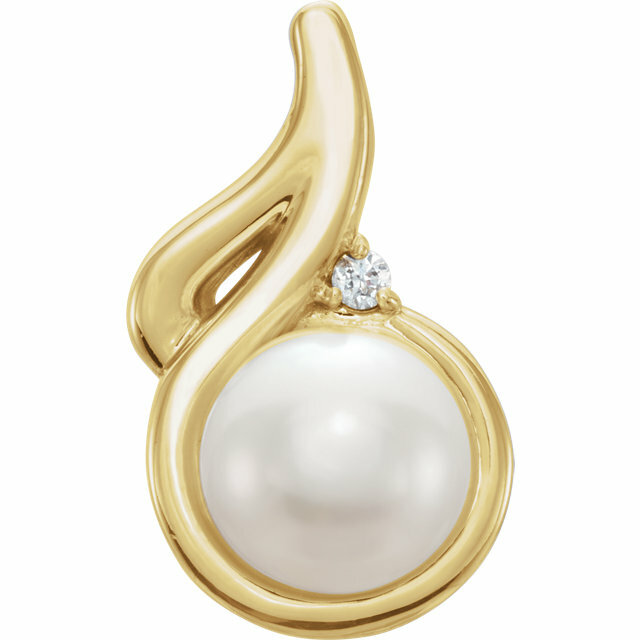 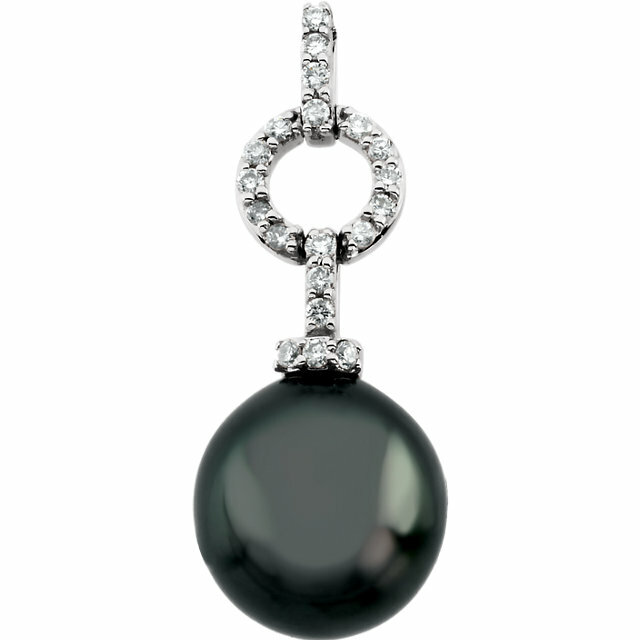 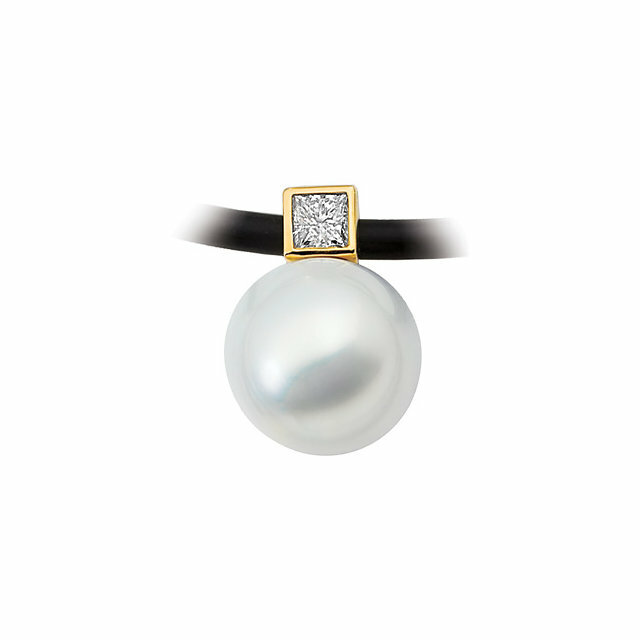 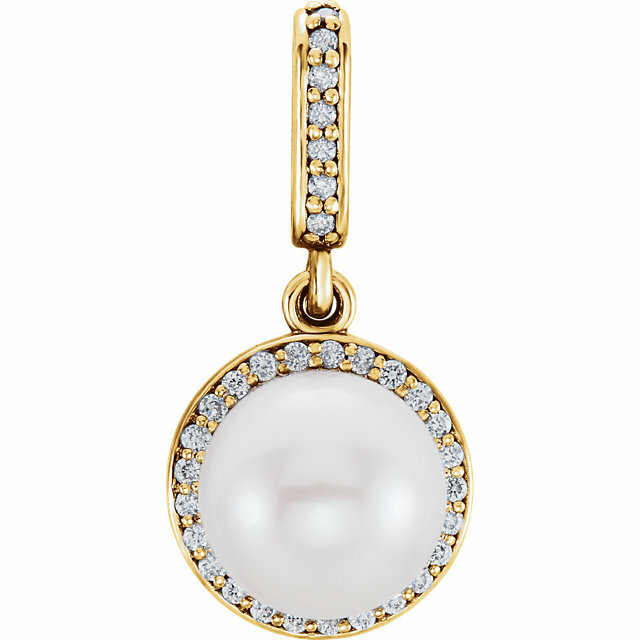 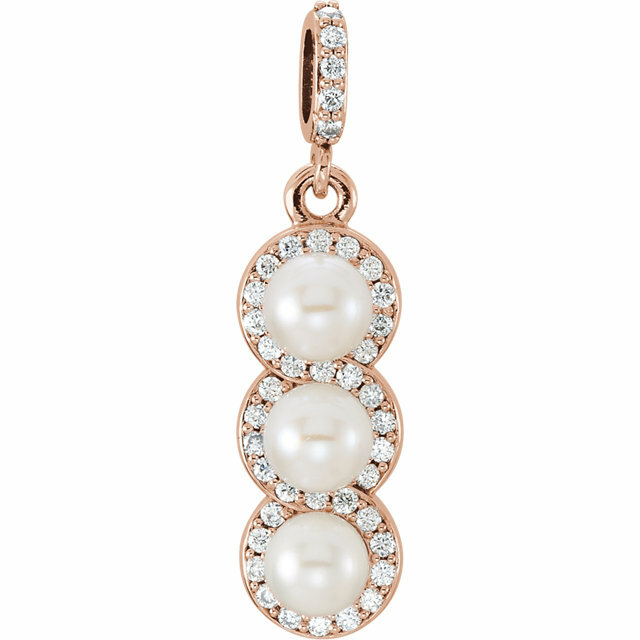 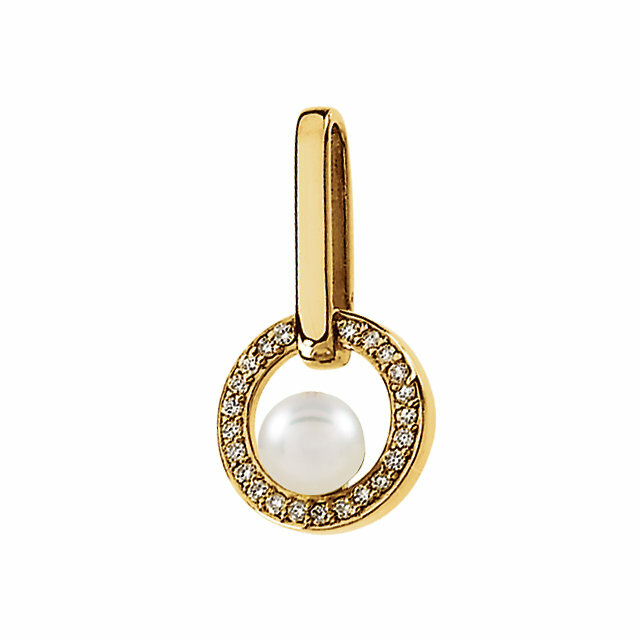 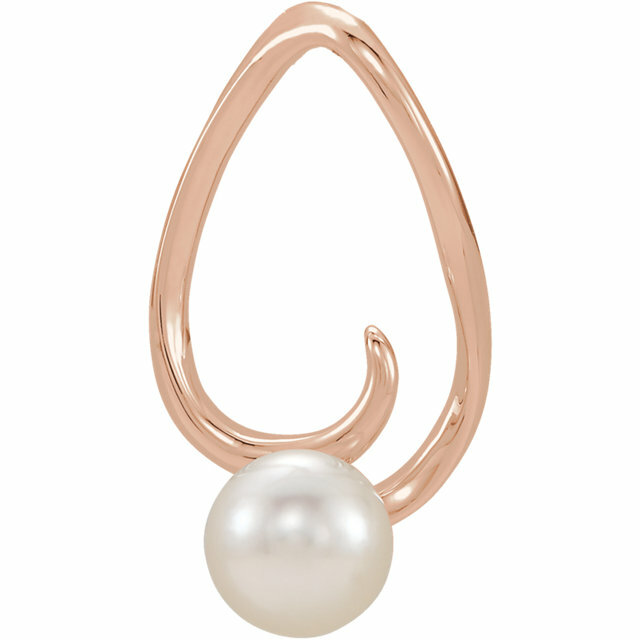 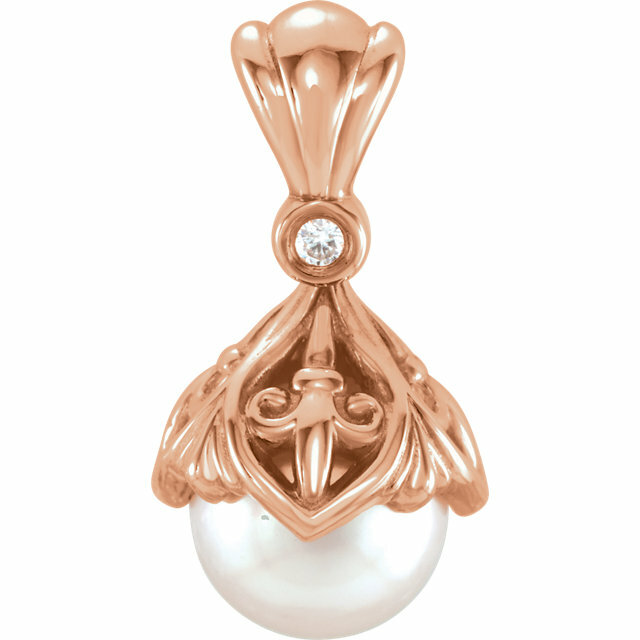 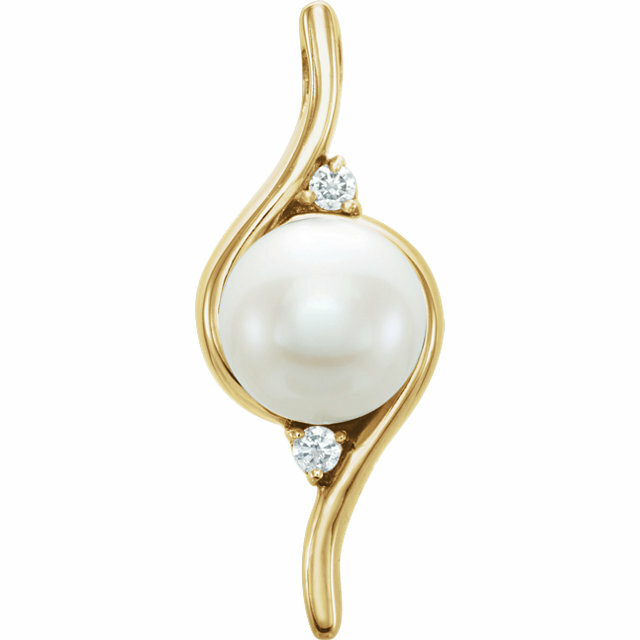 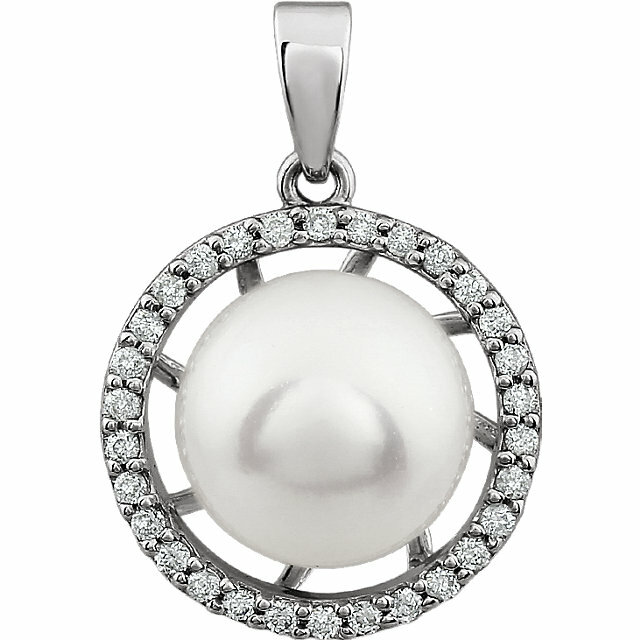 Pearls are perennially fashionable and will never go out of style. 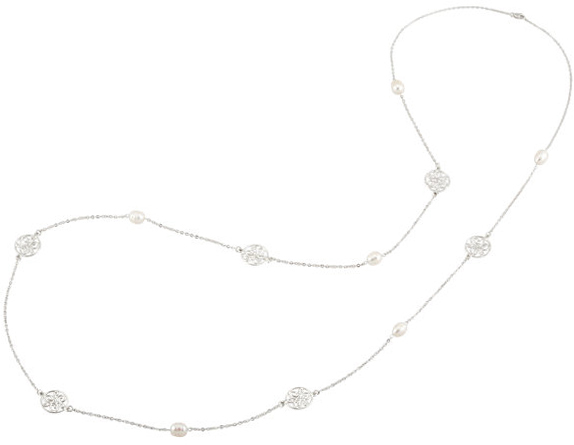 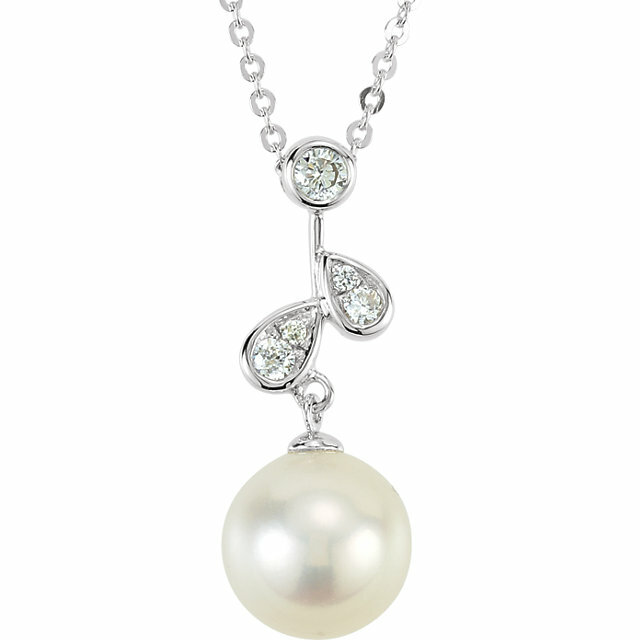 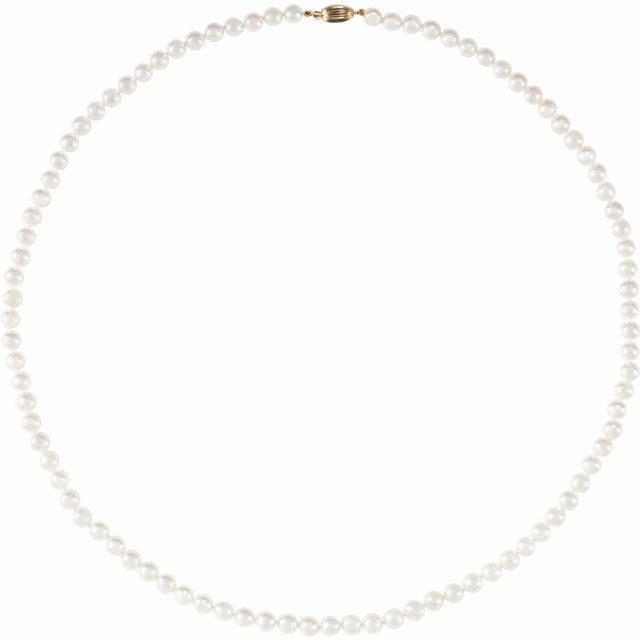 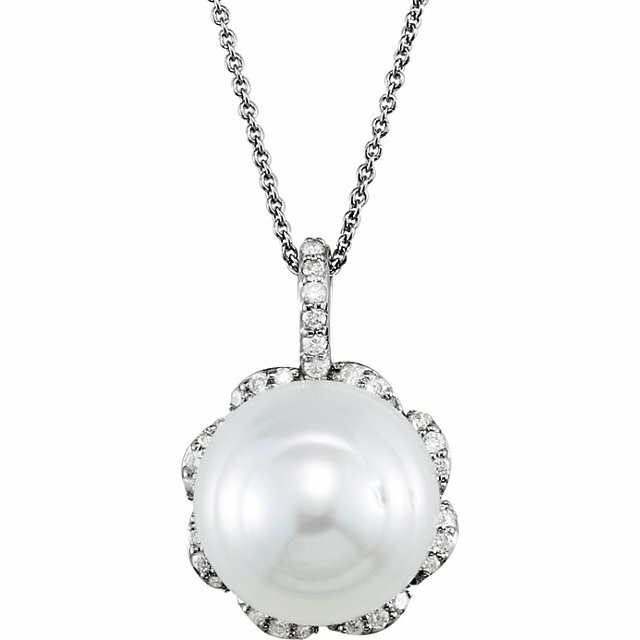 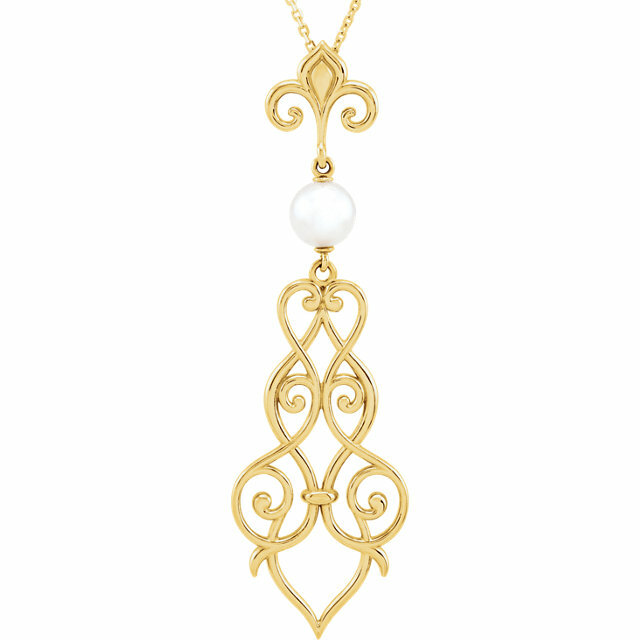 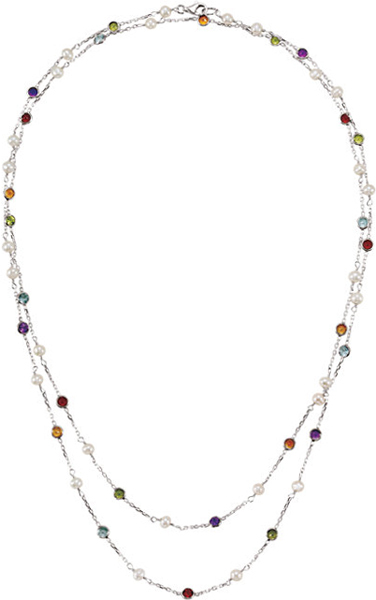 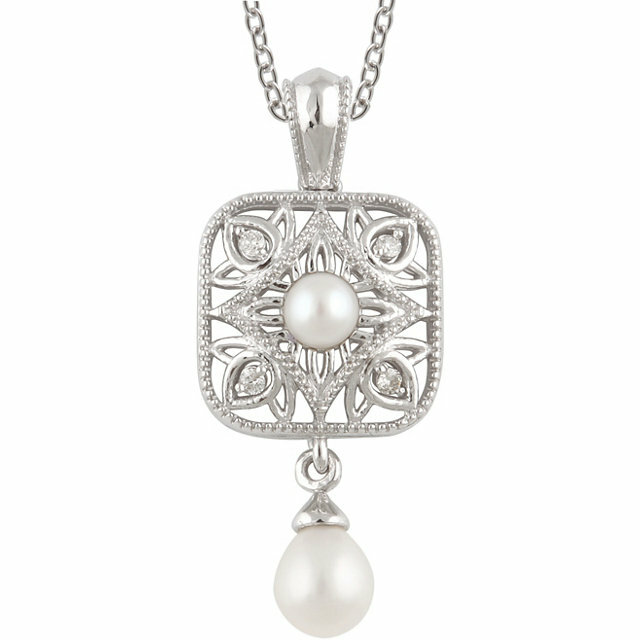 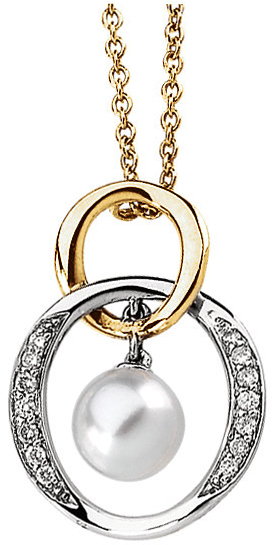 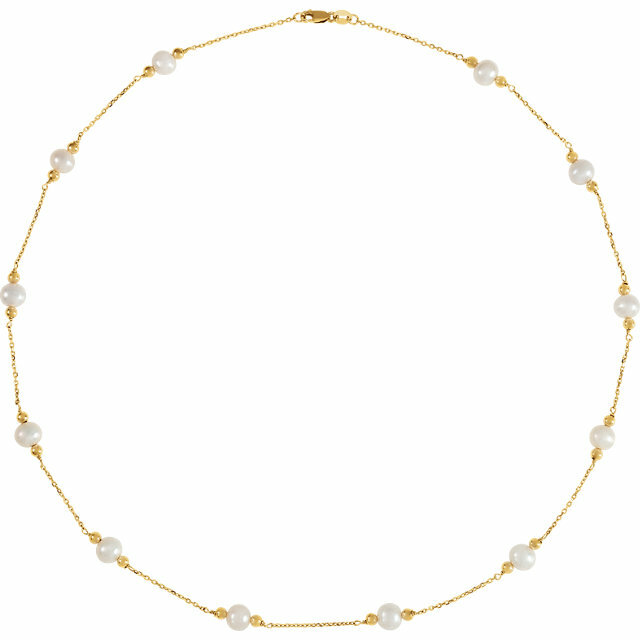 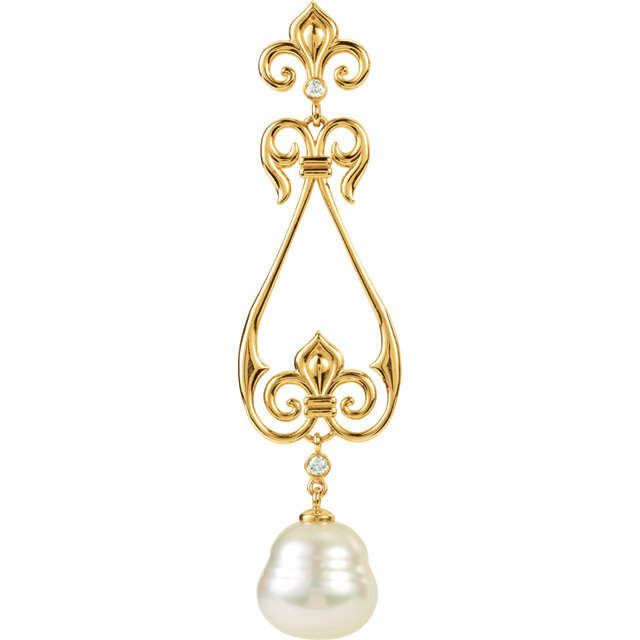 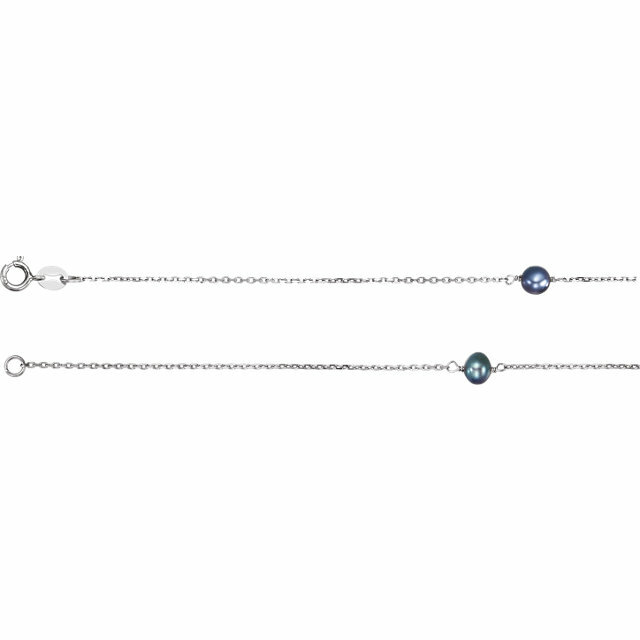 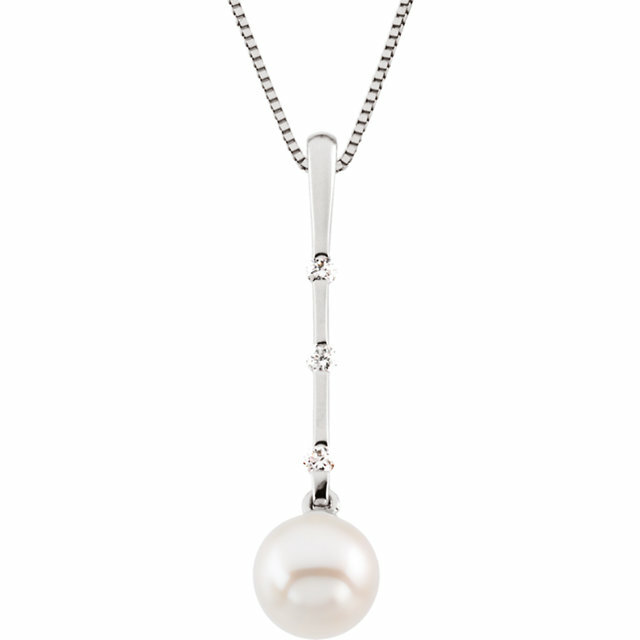 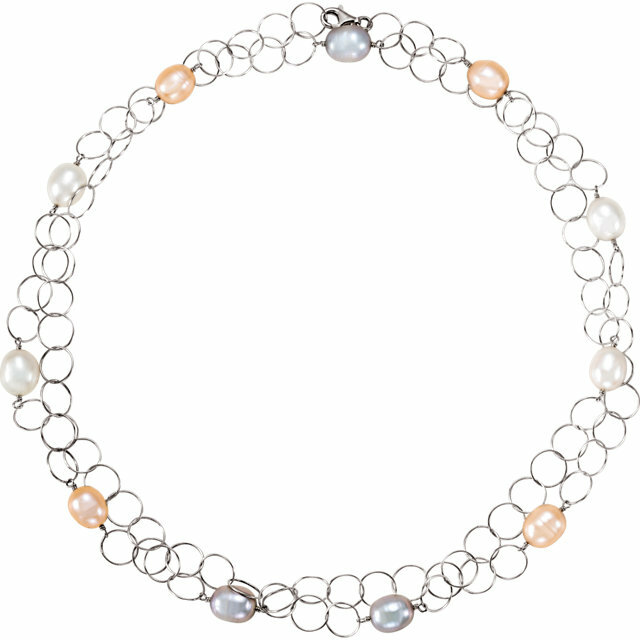 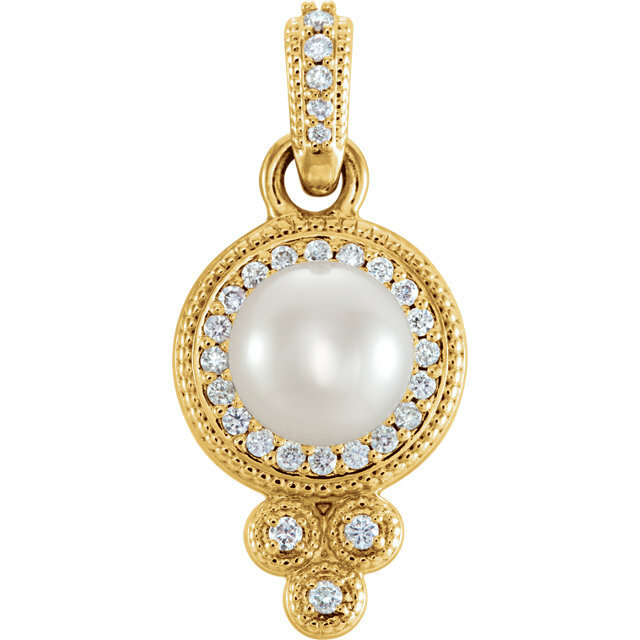 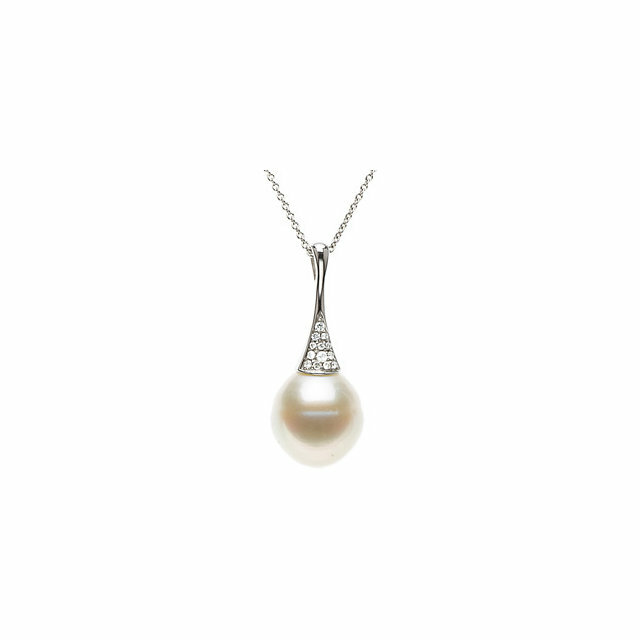 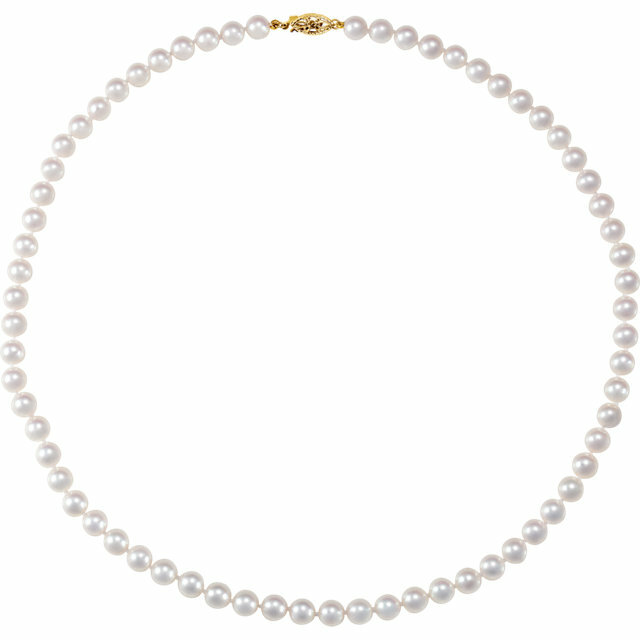 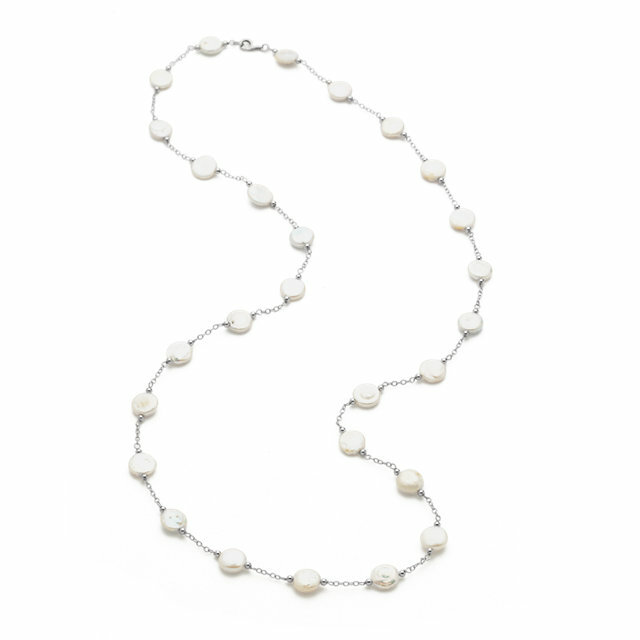 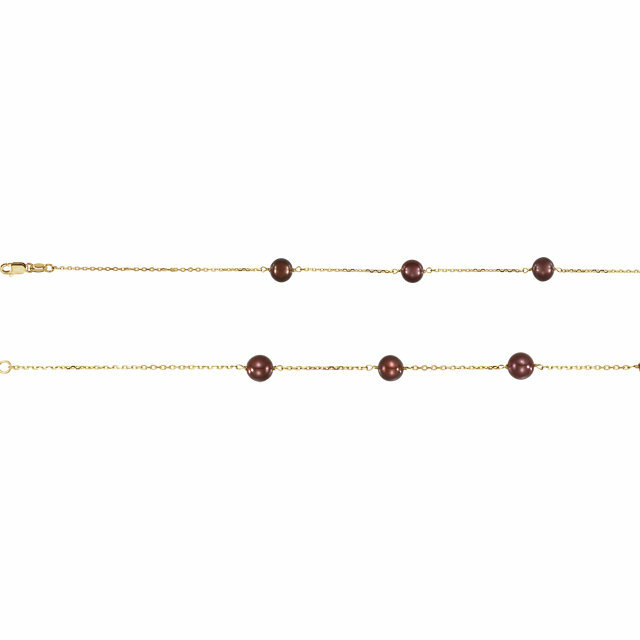 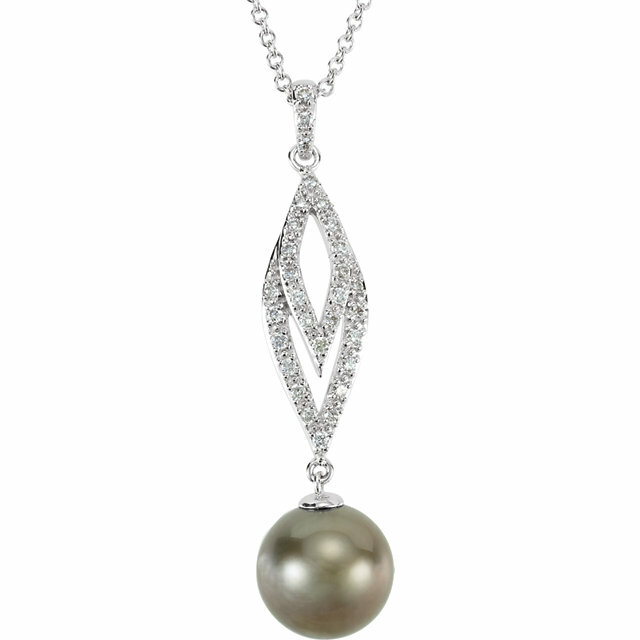 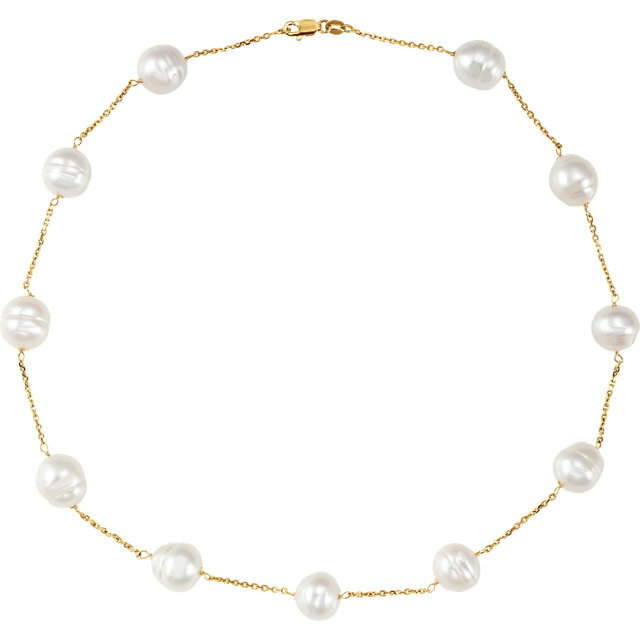 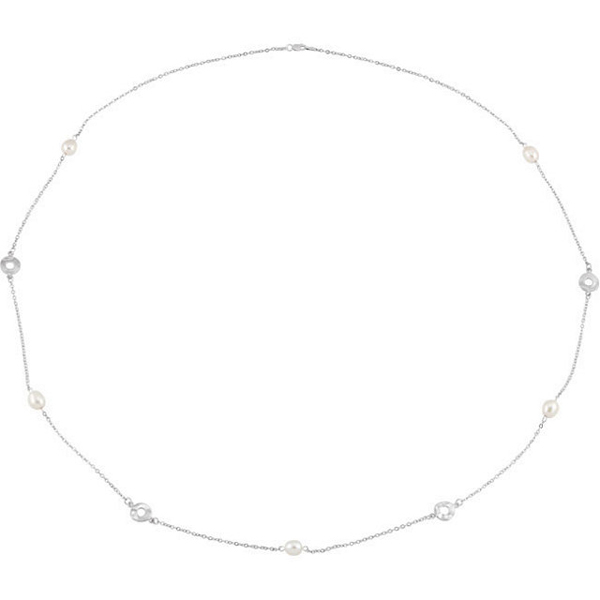 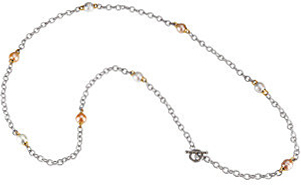 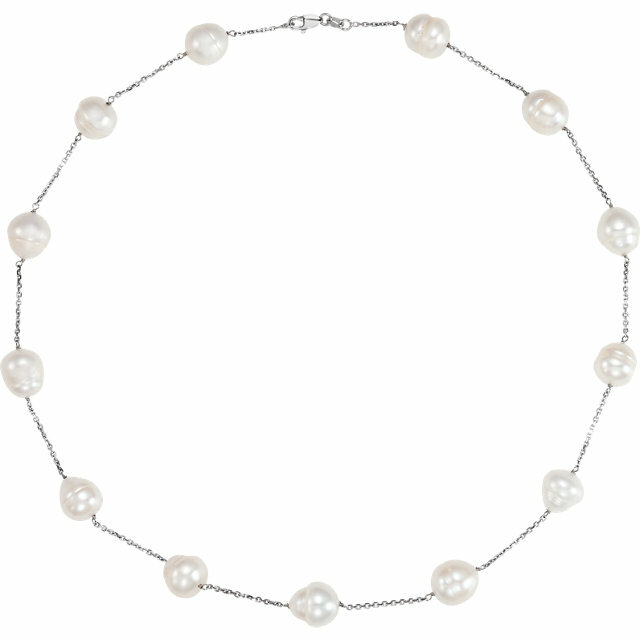 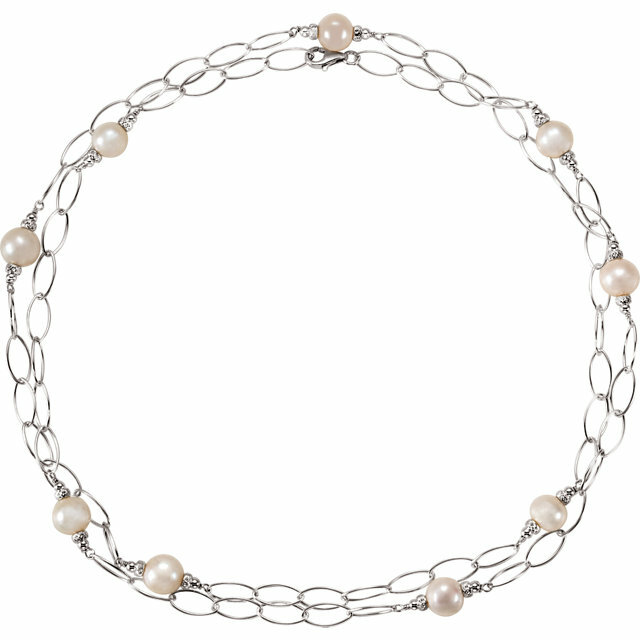 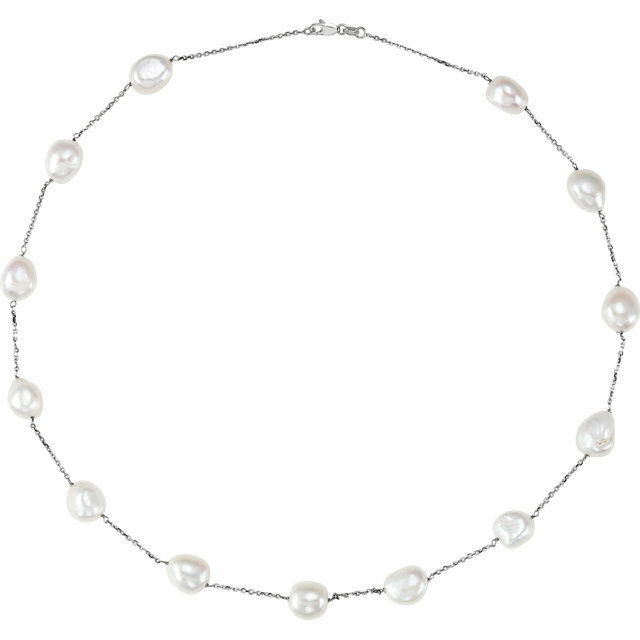 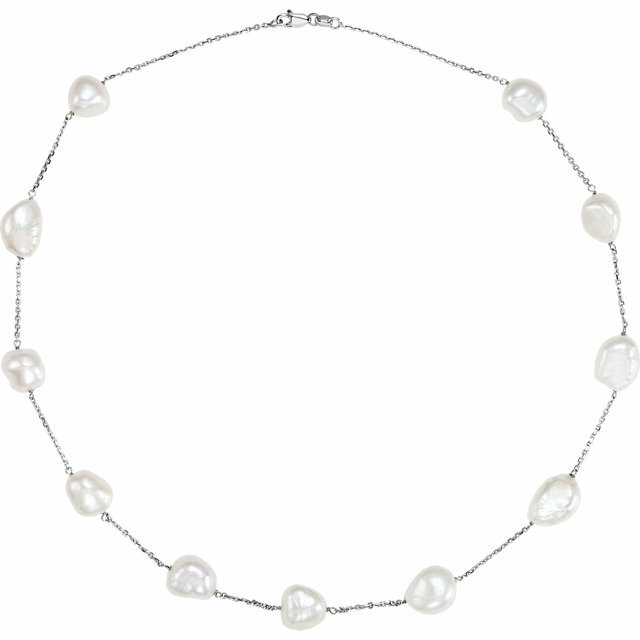 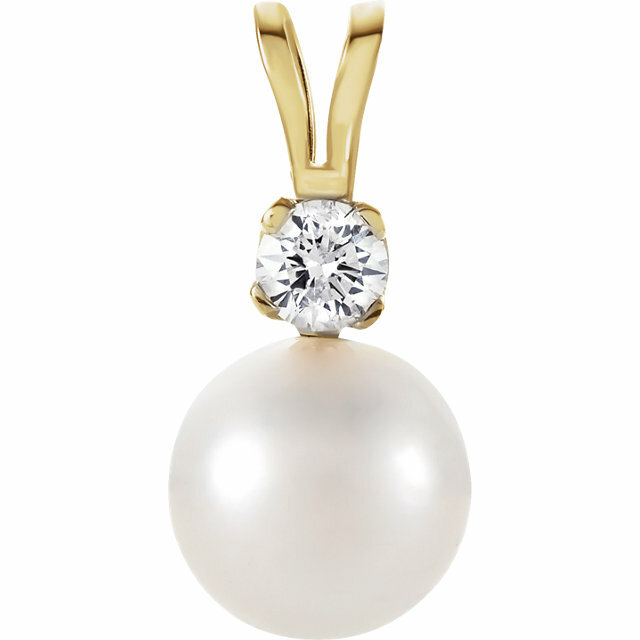 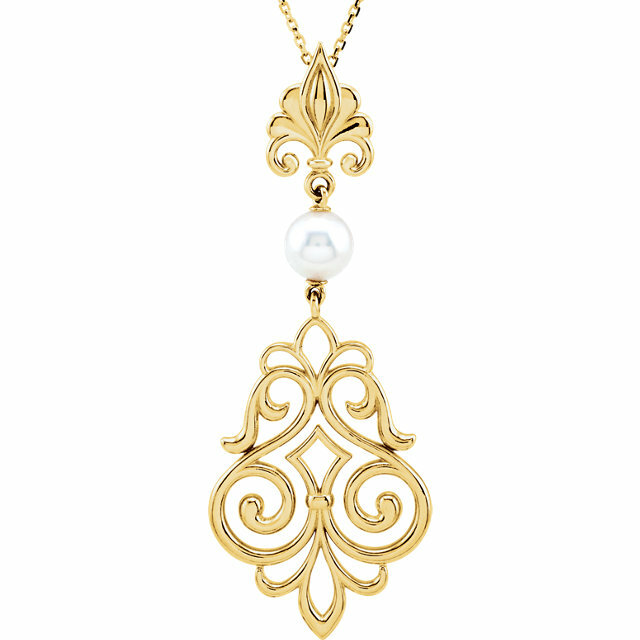 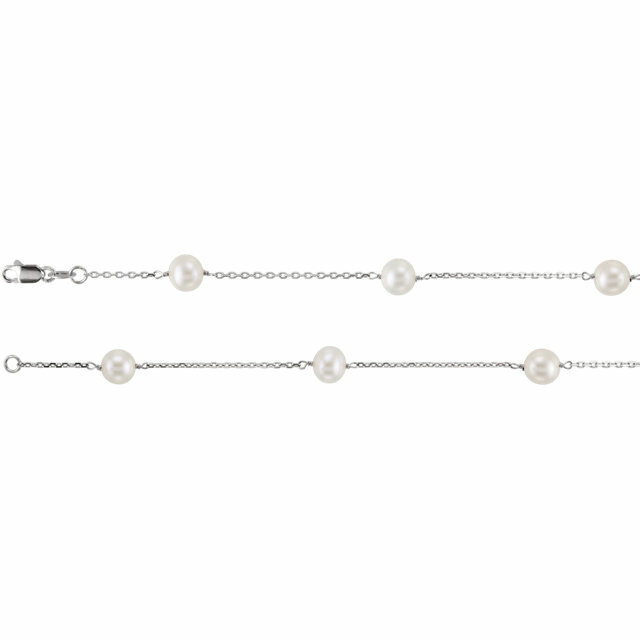 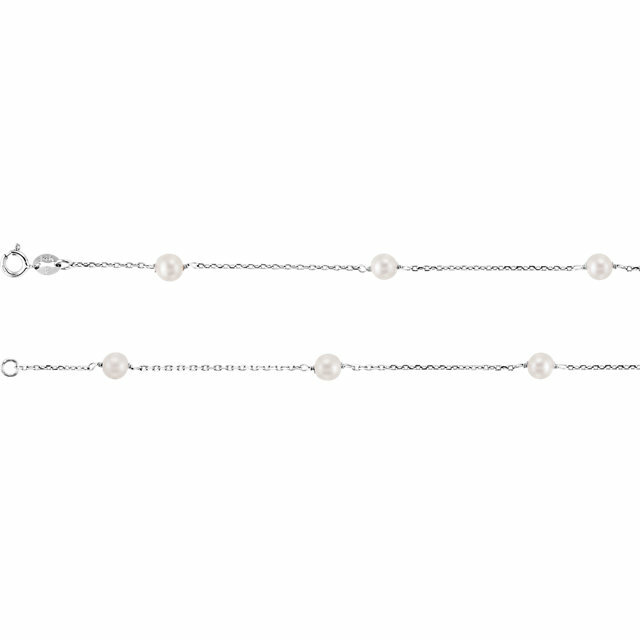 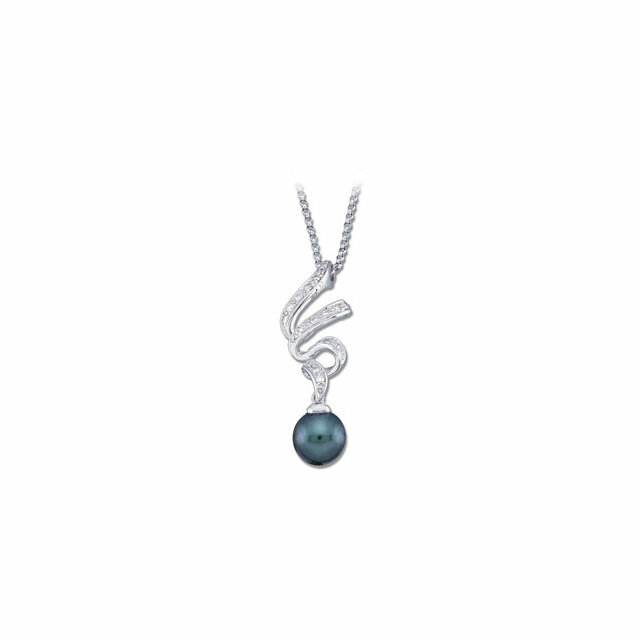 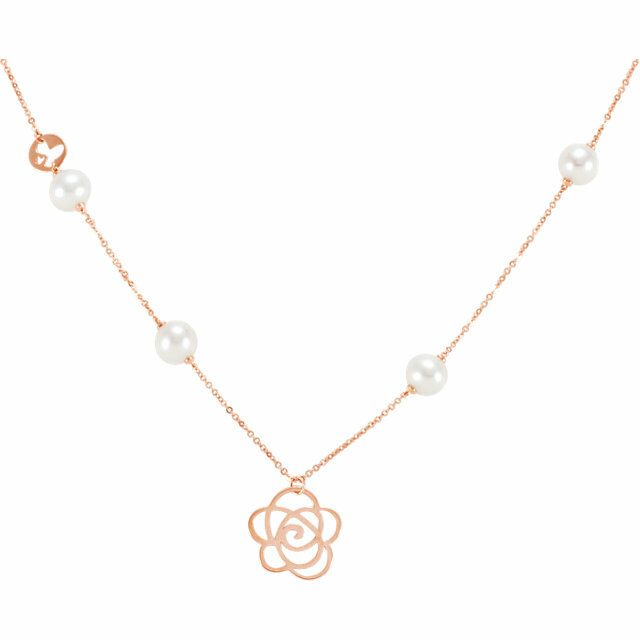 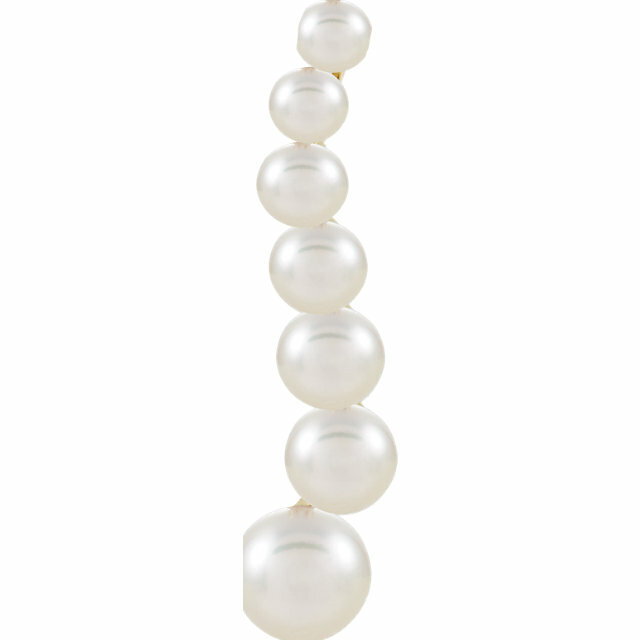 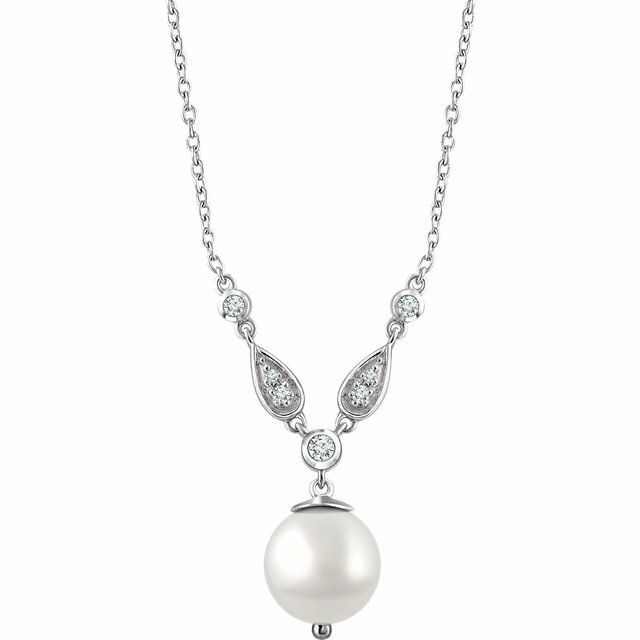 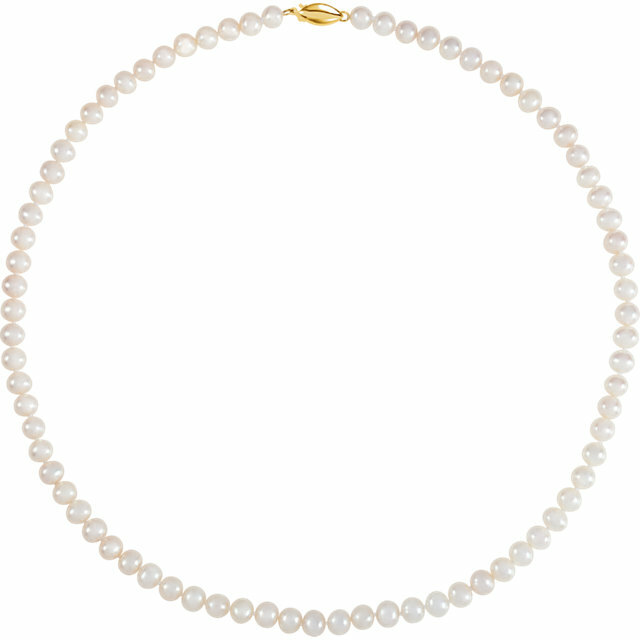 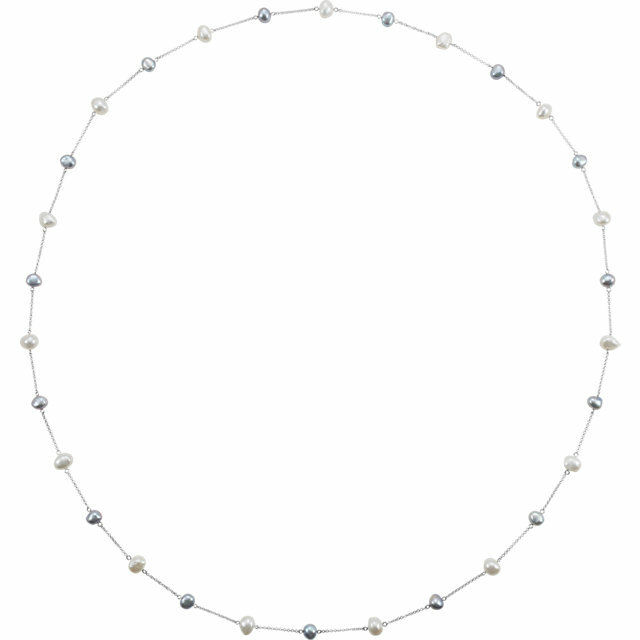 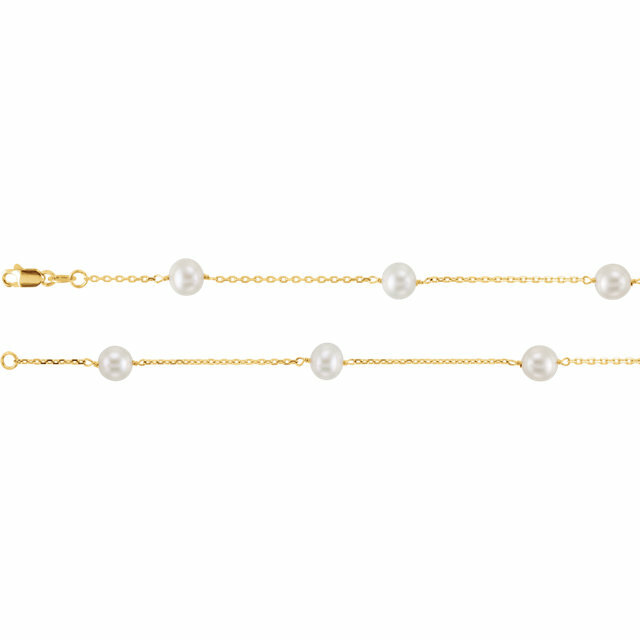 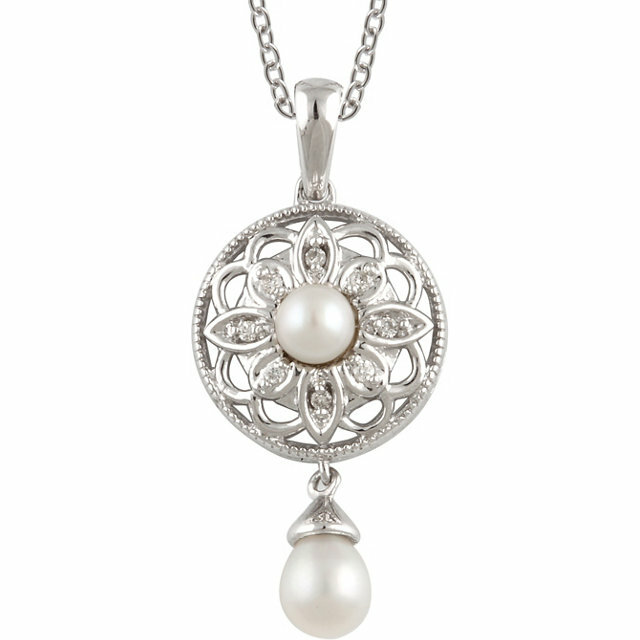 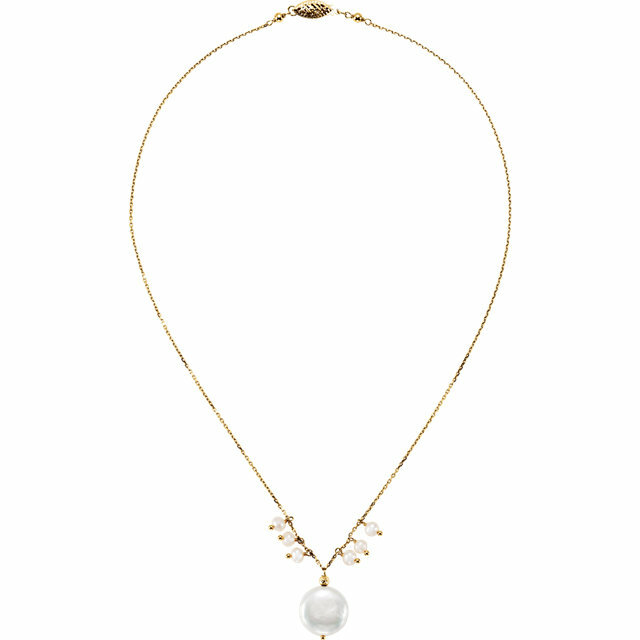 Pick out your favorite Pearl Necklace and you�re good to go. 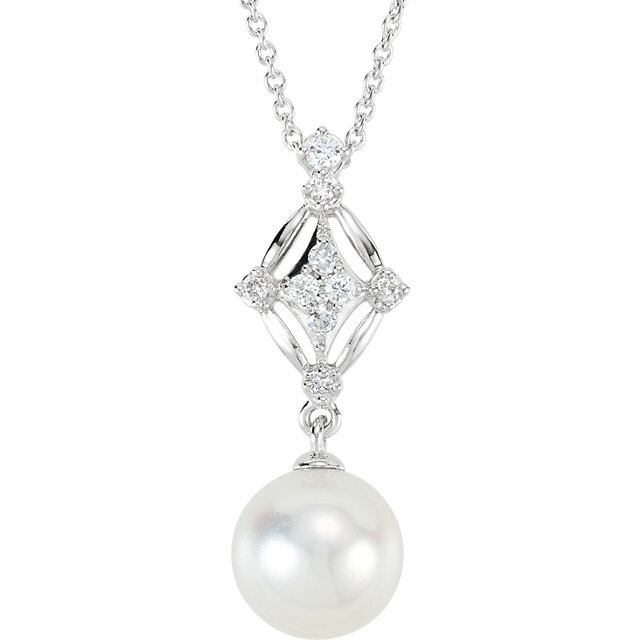 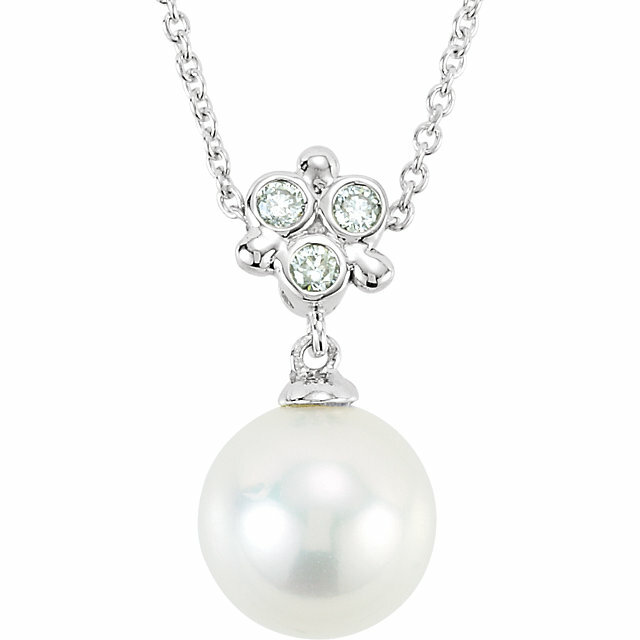 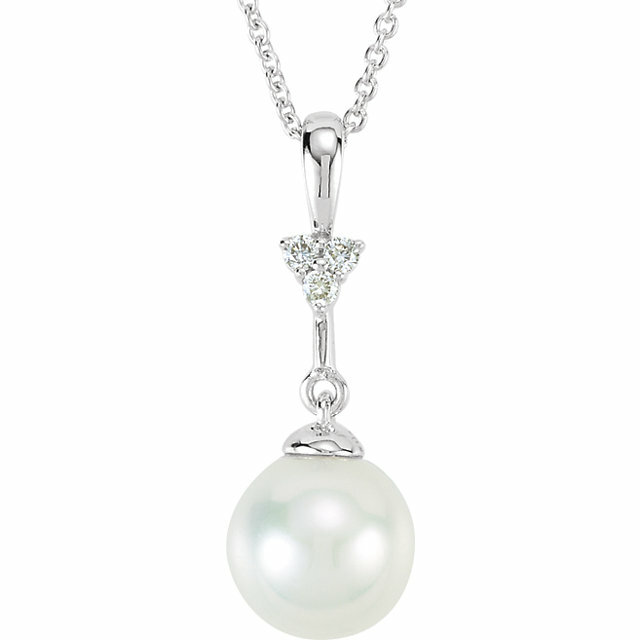 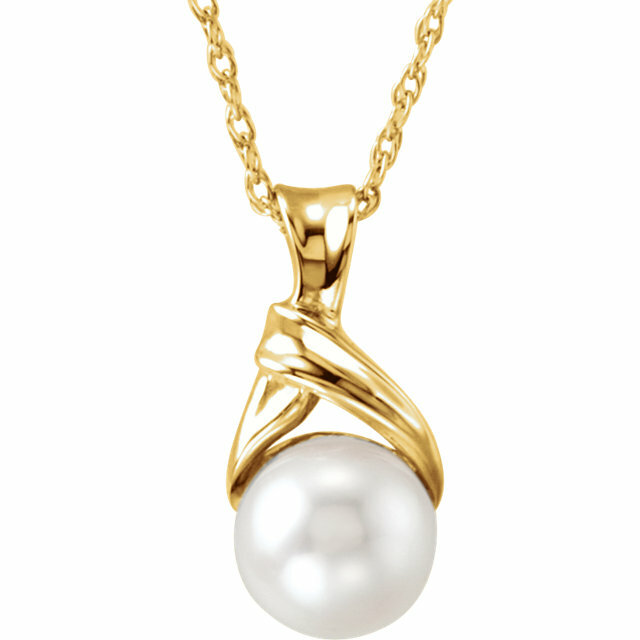 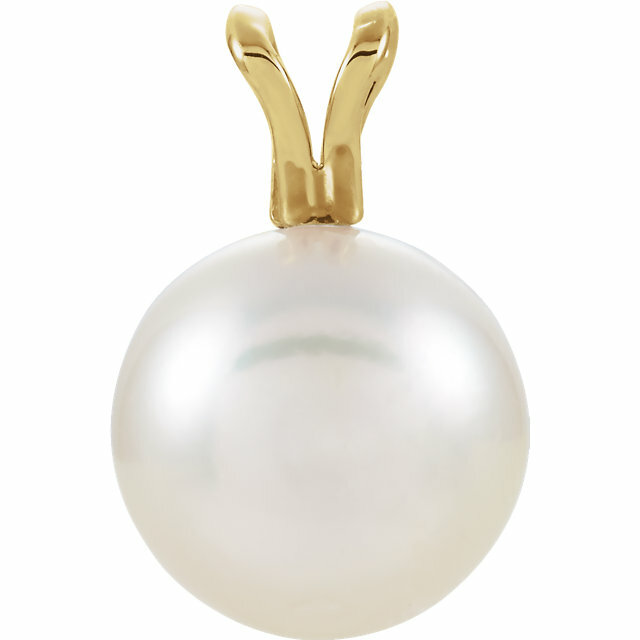 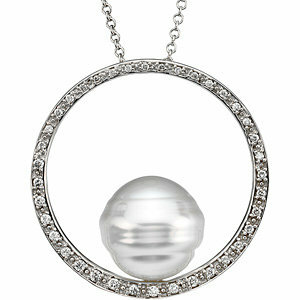 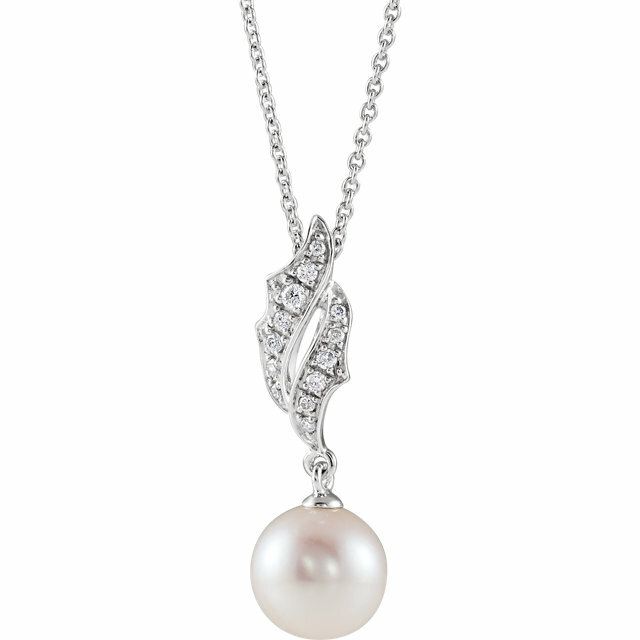 A Pearl Necklace is a piece of jewelry that you and your family will cherish and enjoy for generations to come. 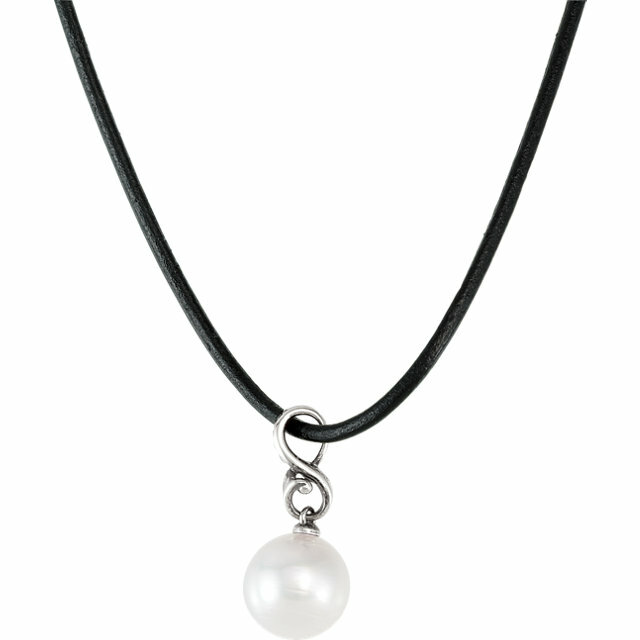 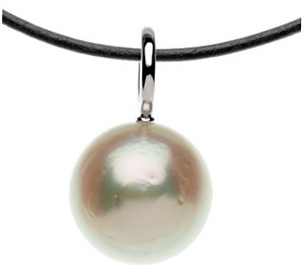 We are very proud to offer you an amazing variety of Pearl necklaces. 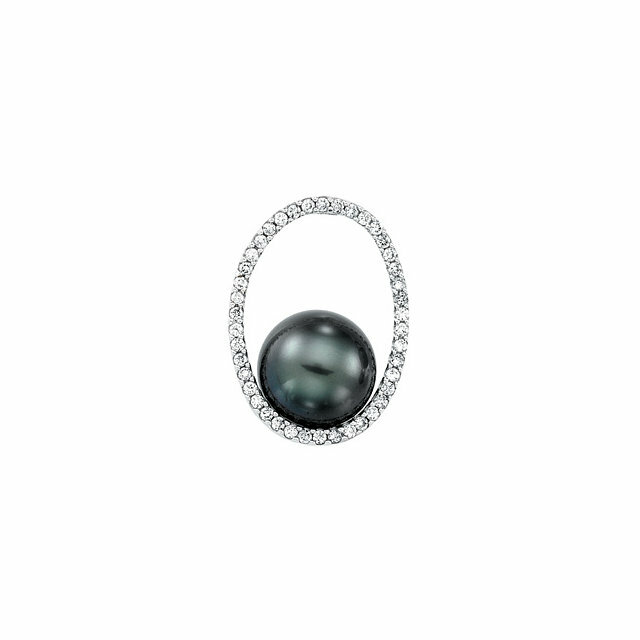 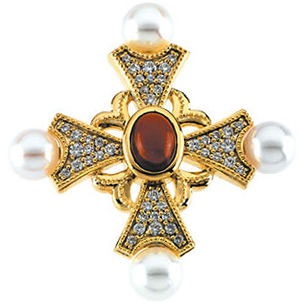 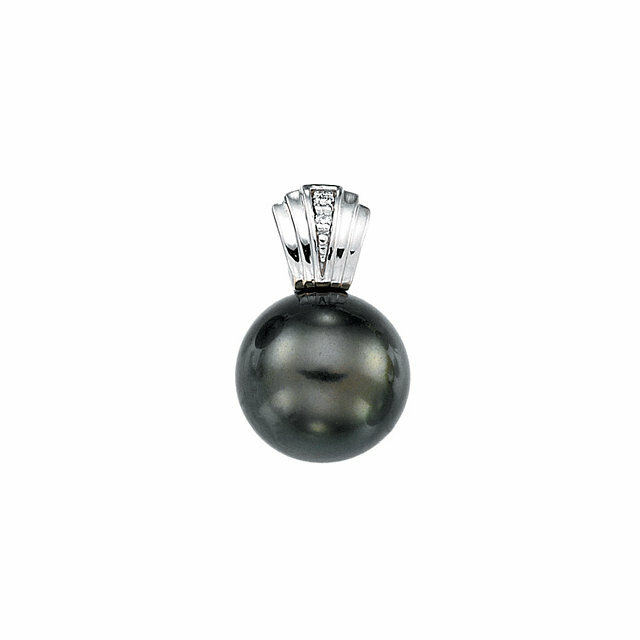 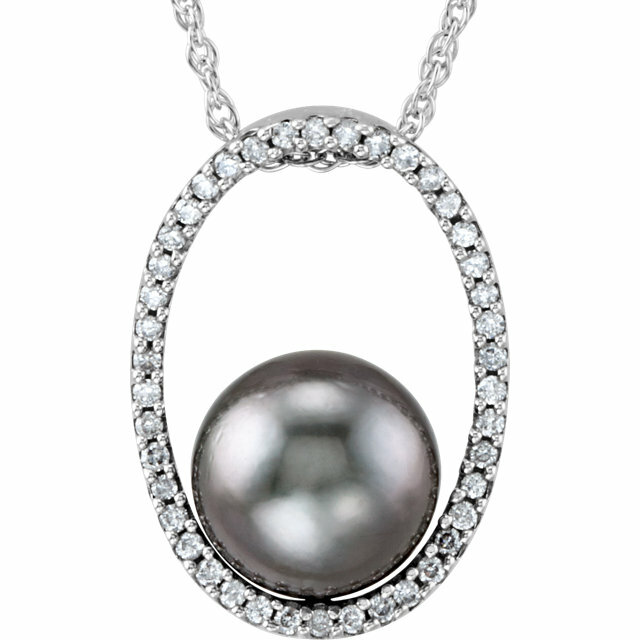 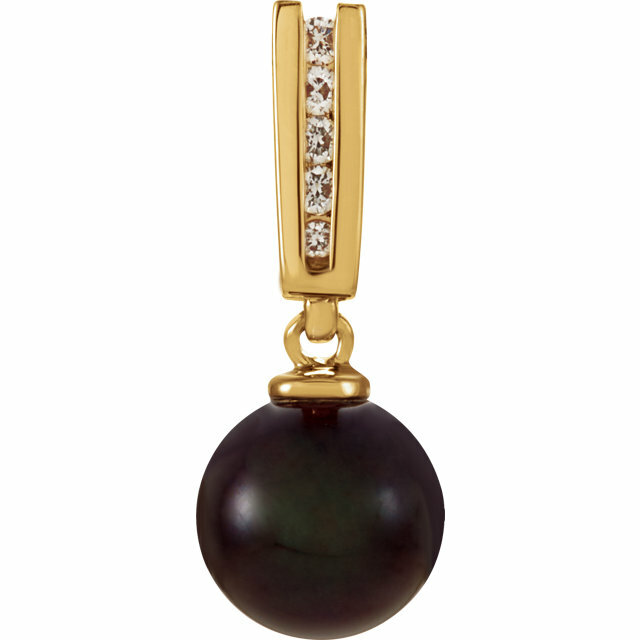 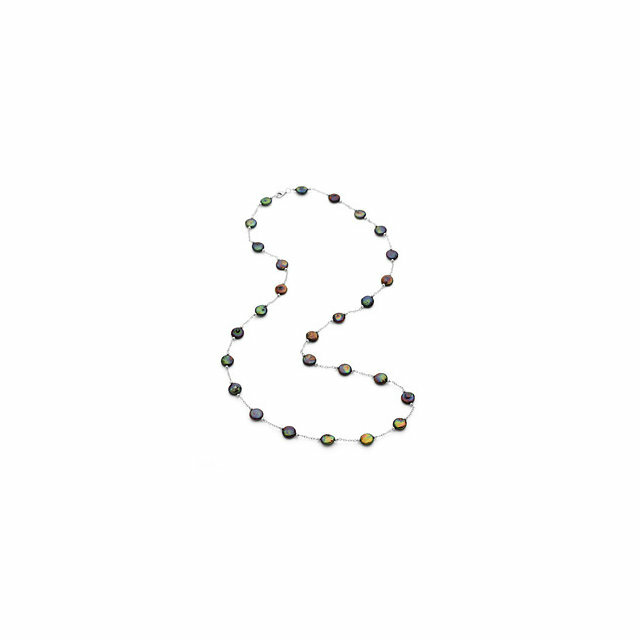 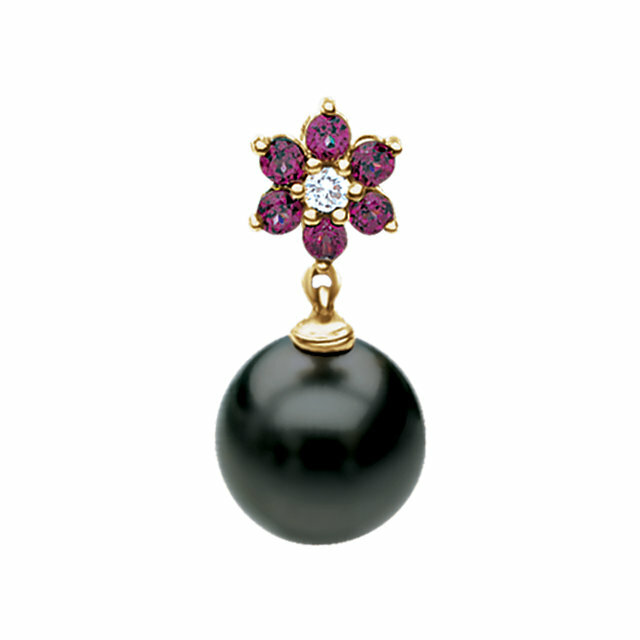 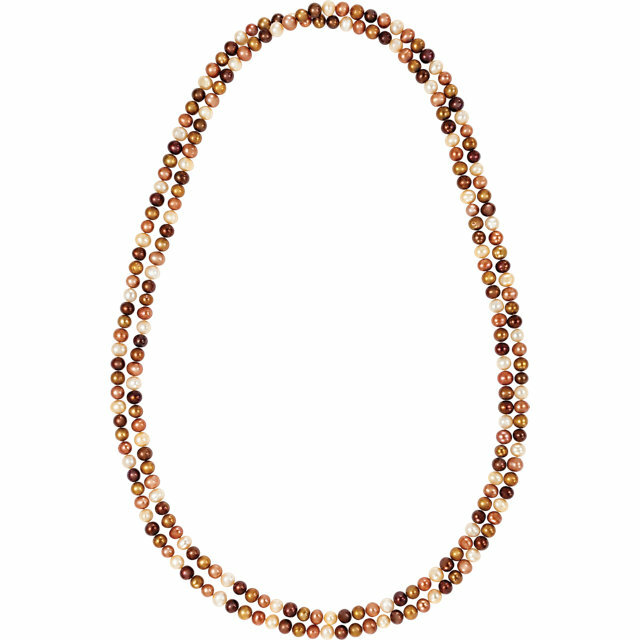 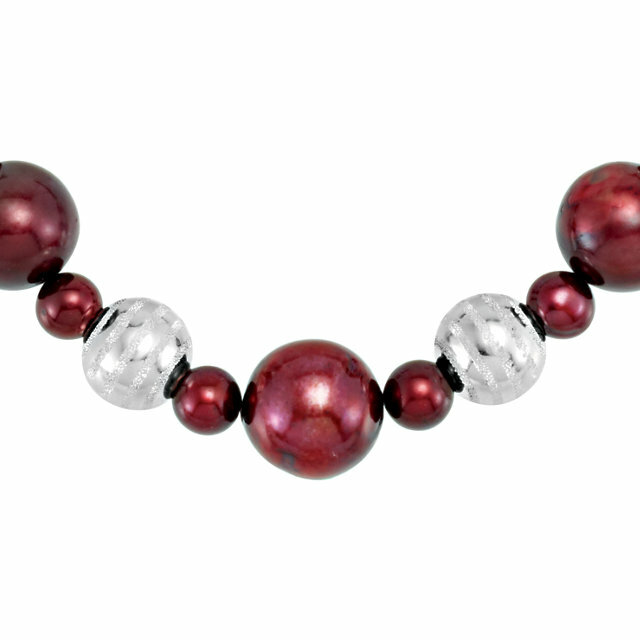 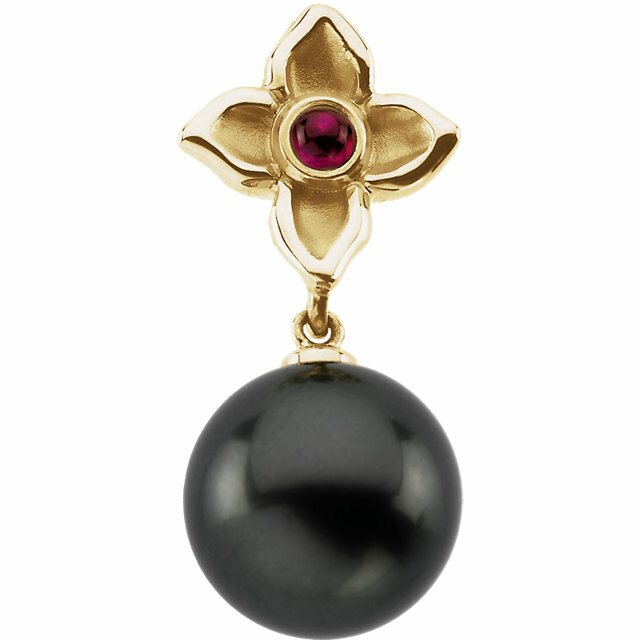 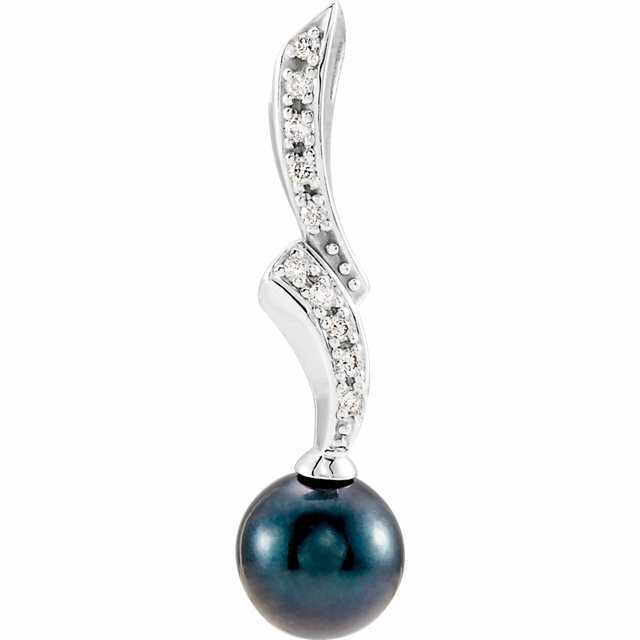 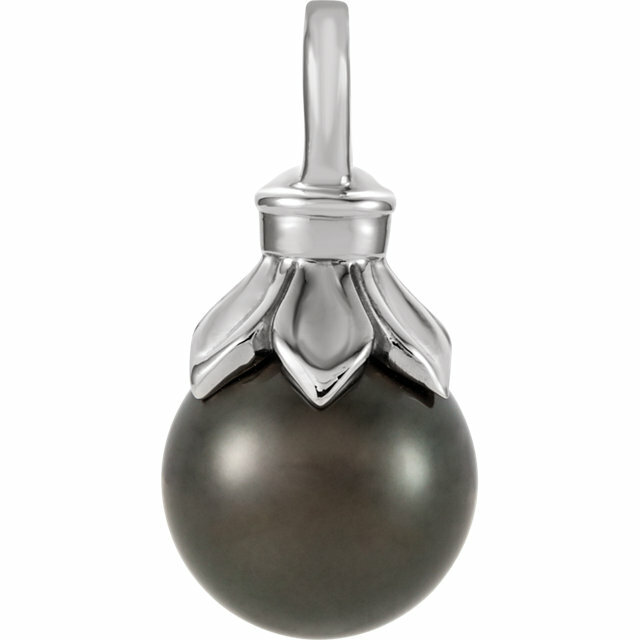 We have white pearls, black pearls, and even brown pearls. 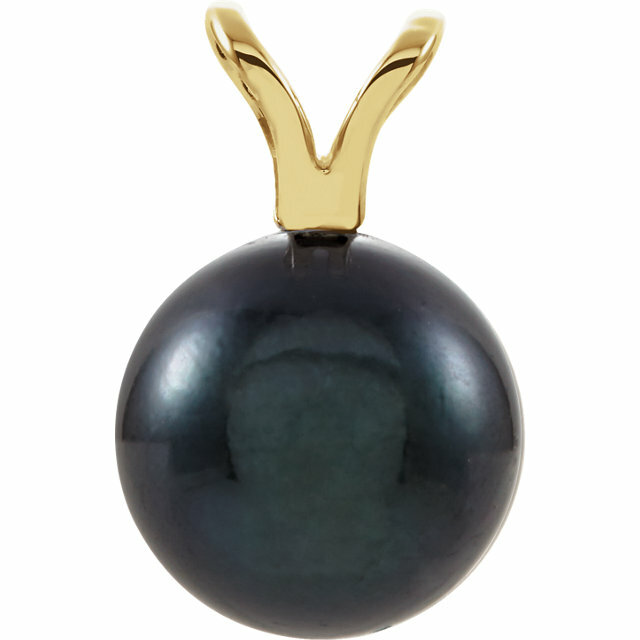 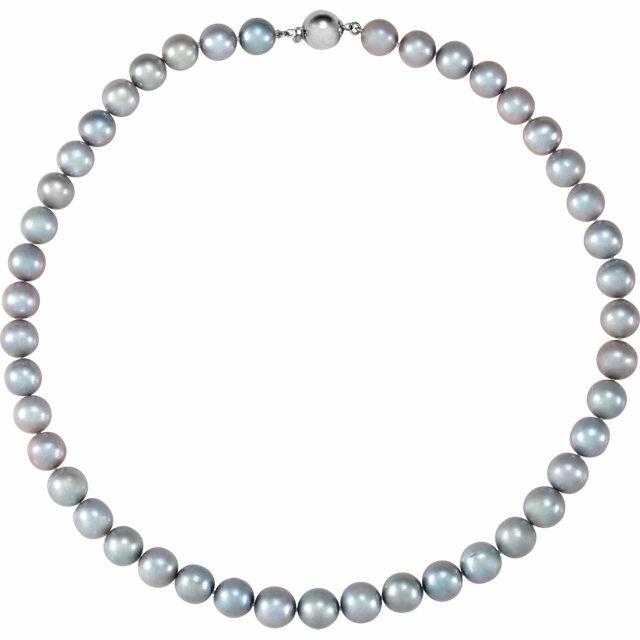 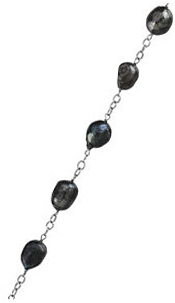 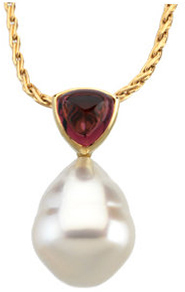 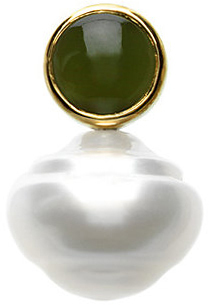 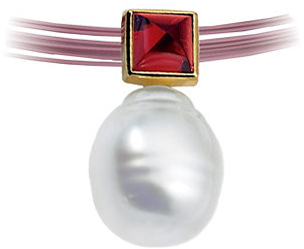 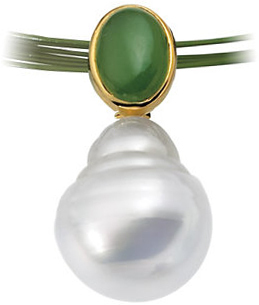 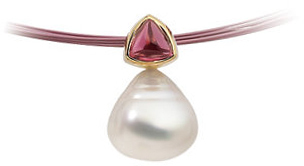 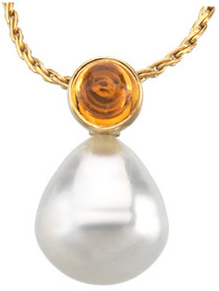 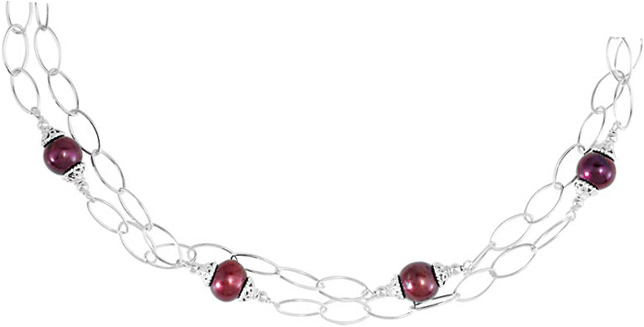 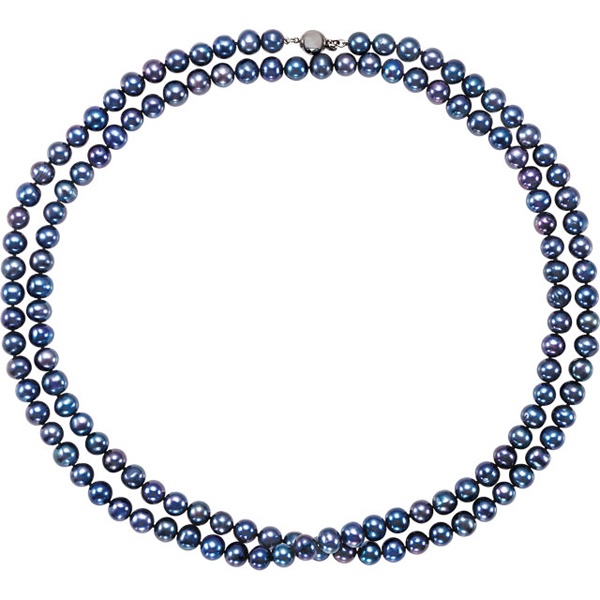 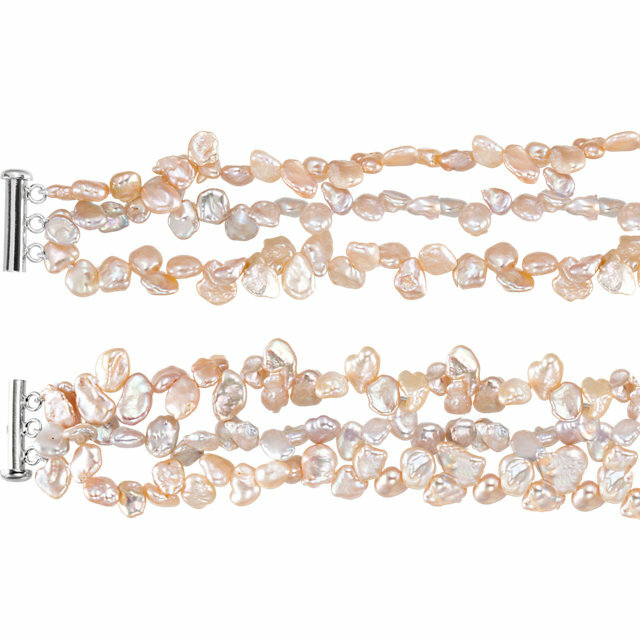 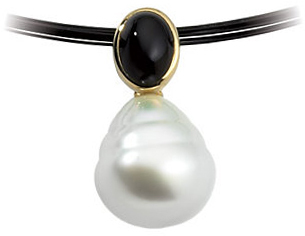 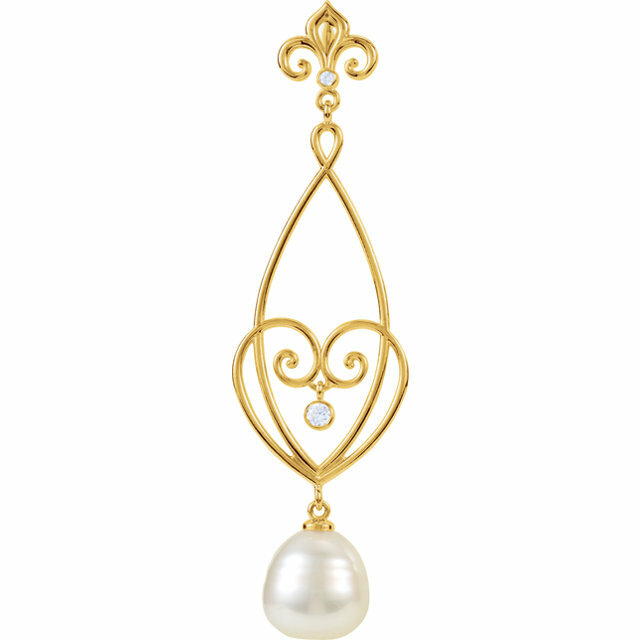 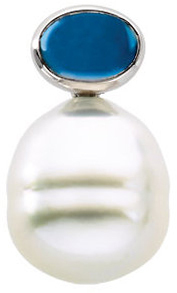 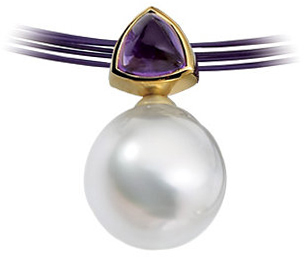 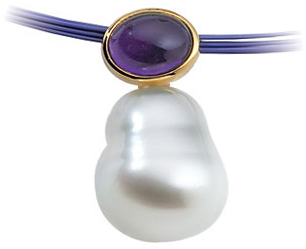 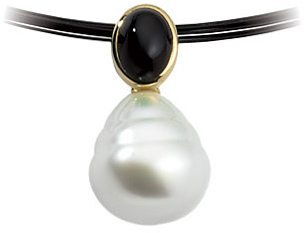 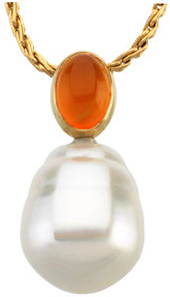 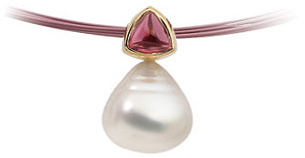 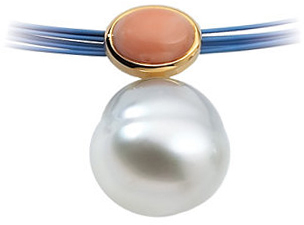 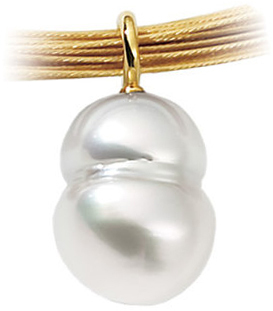 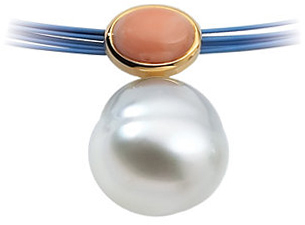 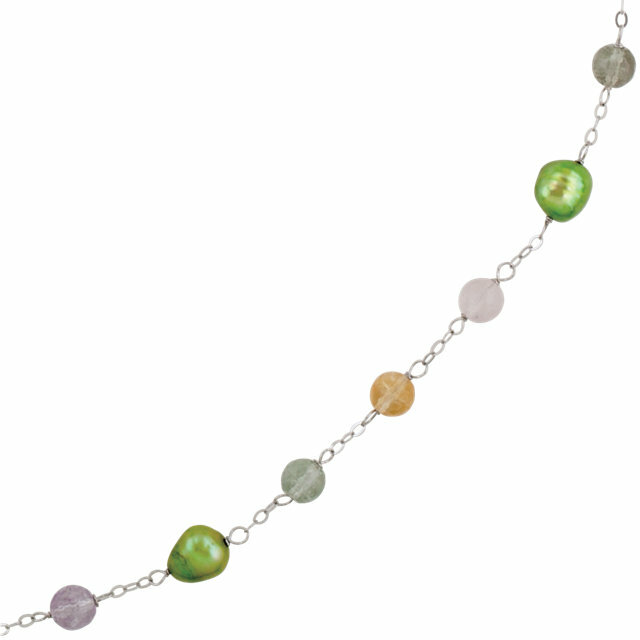 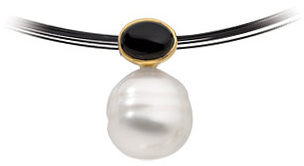 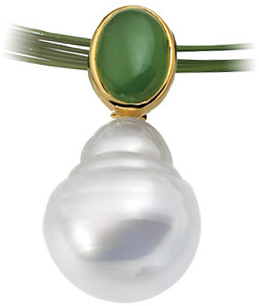 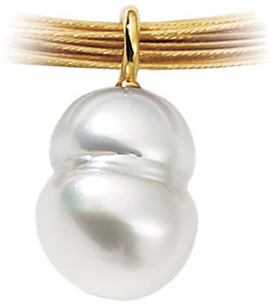 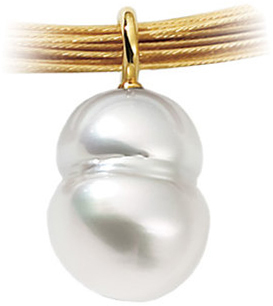 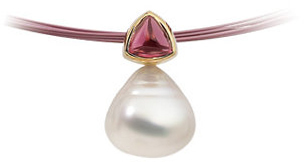 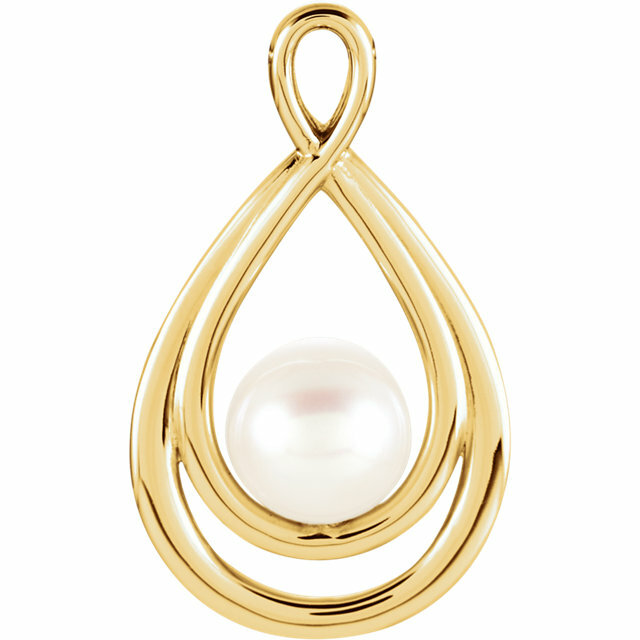 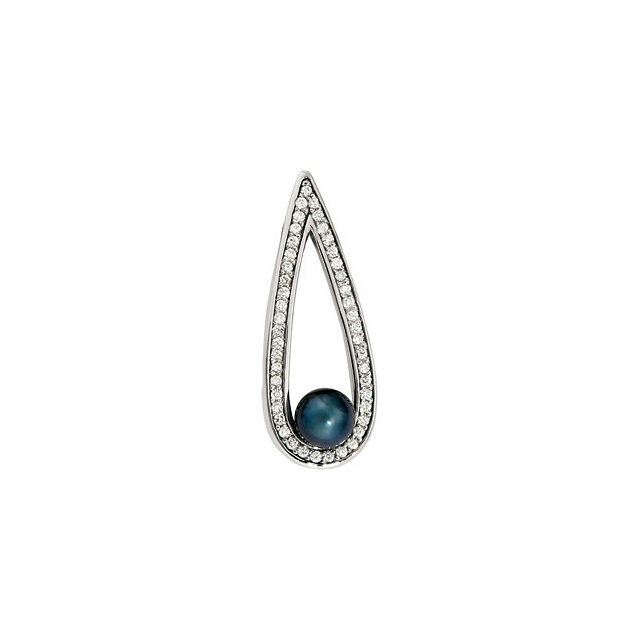 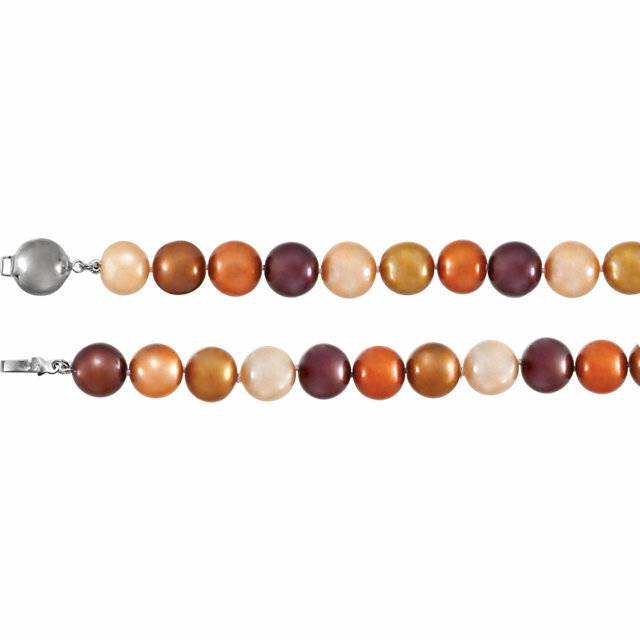 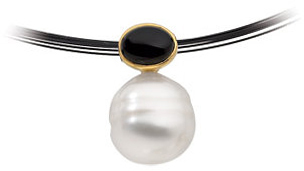 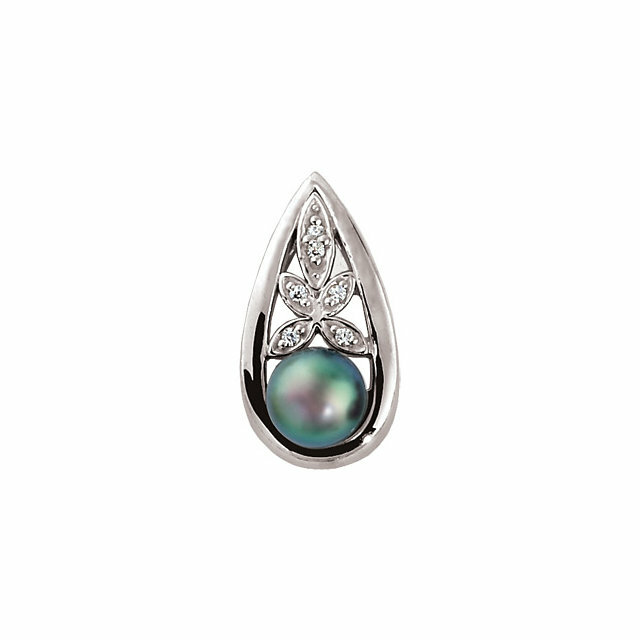 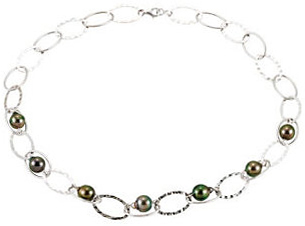 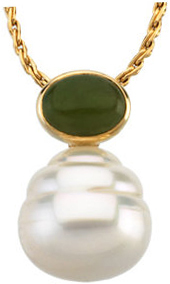 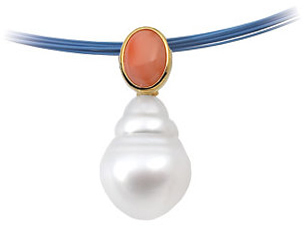 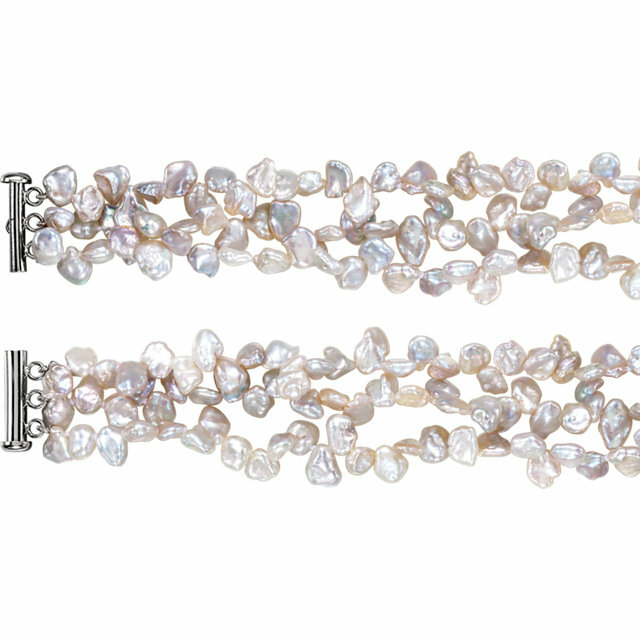 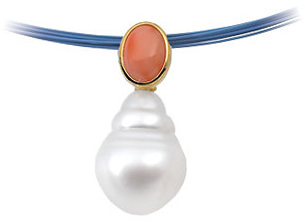 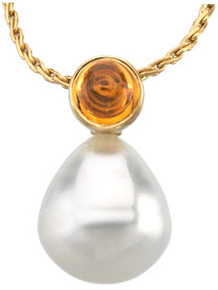 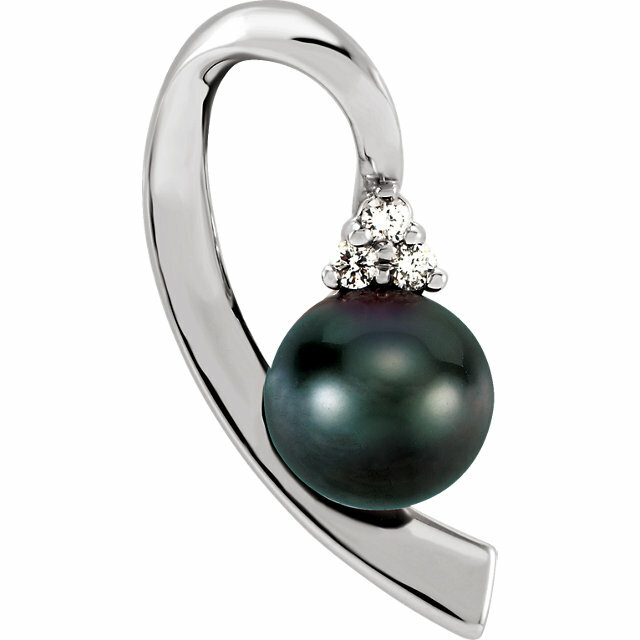 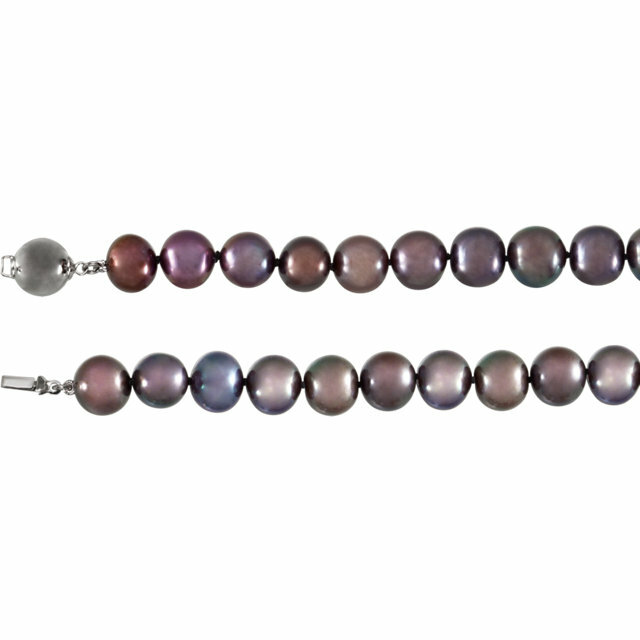 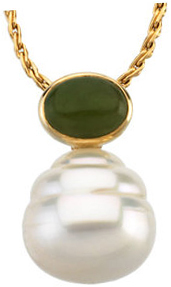 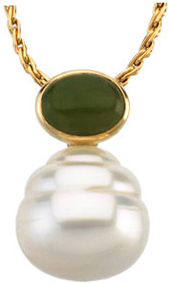 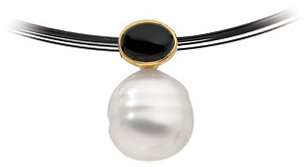 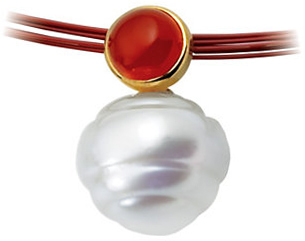 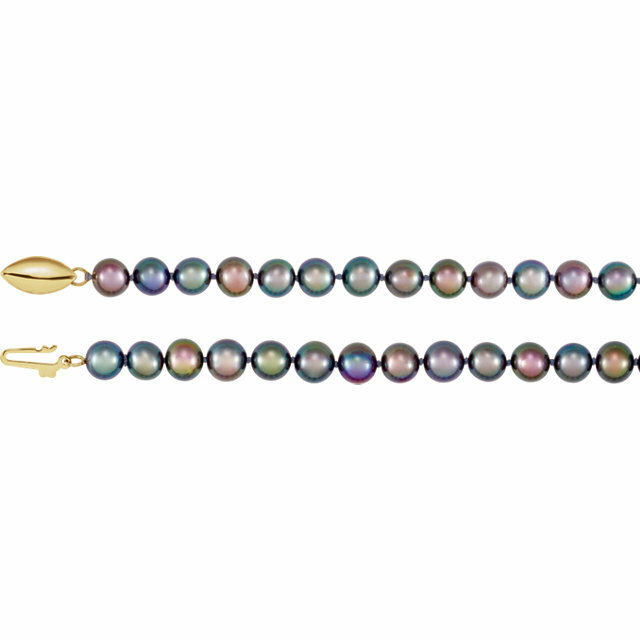 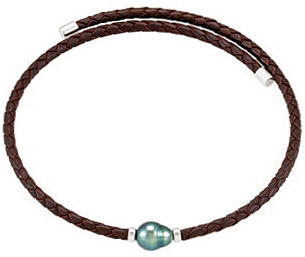 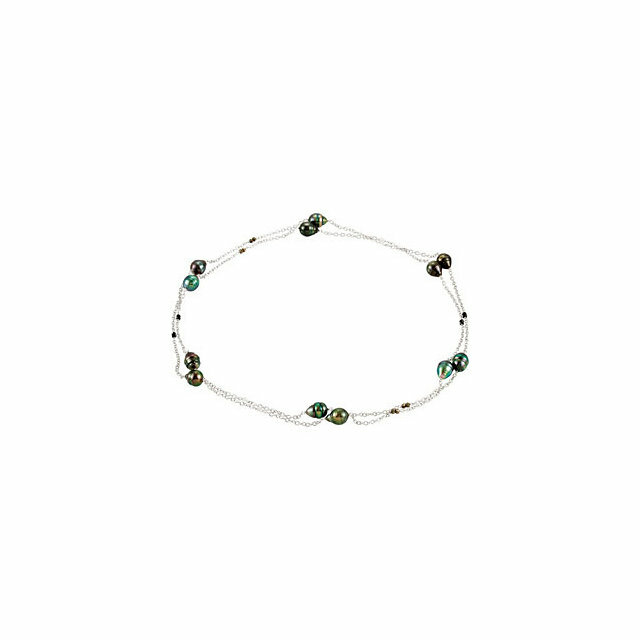 We carry the best of freshwater, Akoya, and Tahitian cultured Pearls. 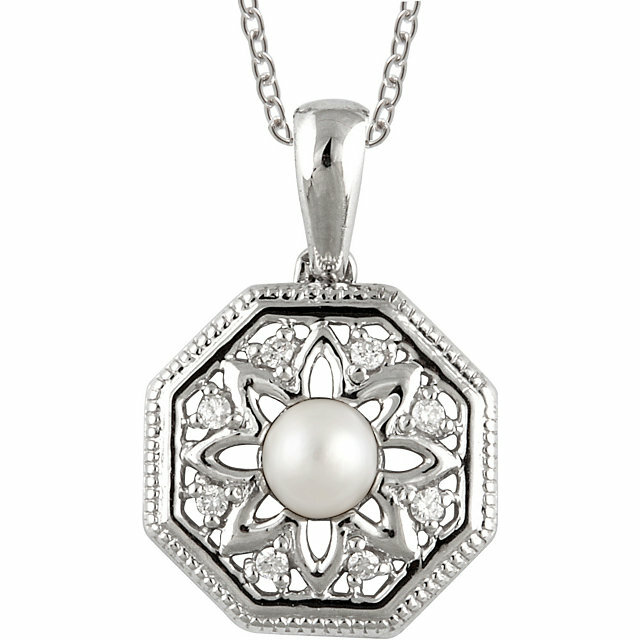 Our pendants feature every metal from sterling silver to 14 karat white gold to 14 karat yellow gold. 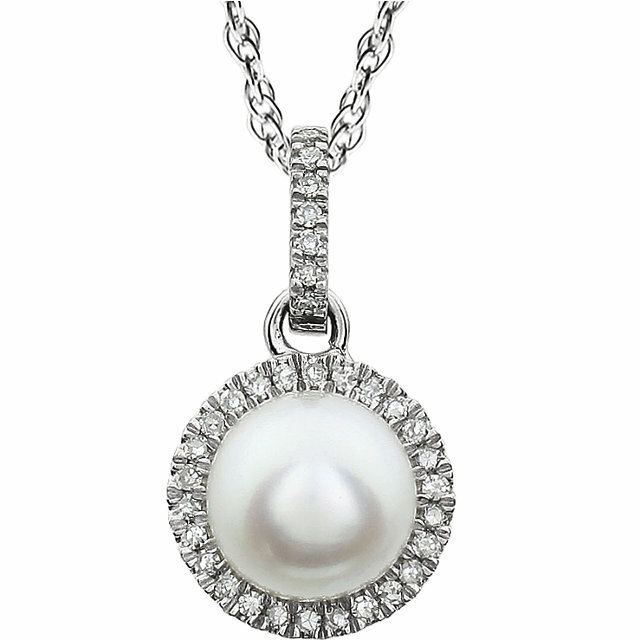 When you add into that mix stunning diamond accents and creative jewelry designs, you get a collection of Pearl Necklaces that is second to none. 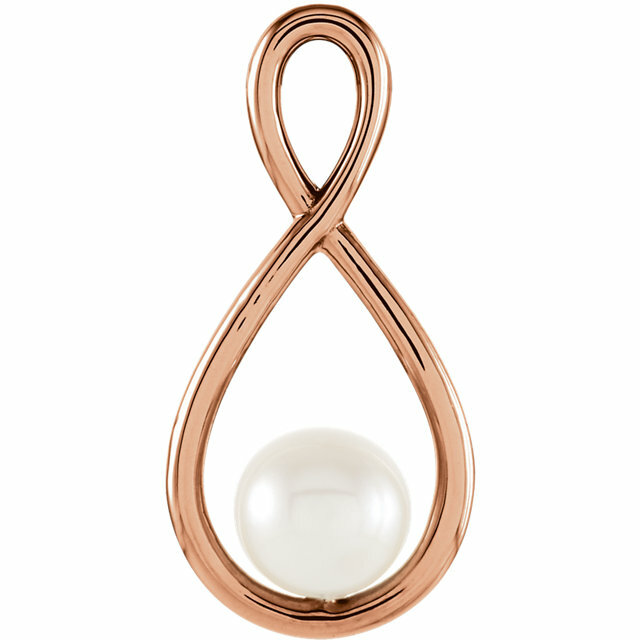 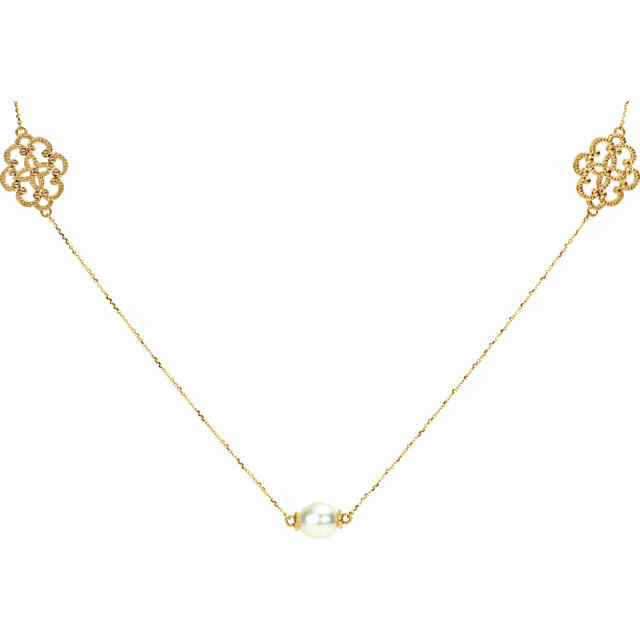 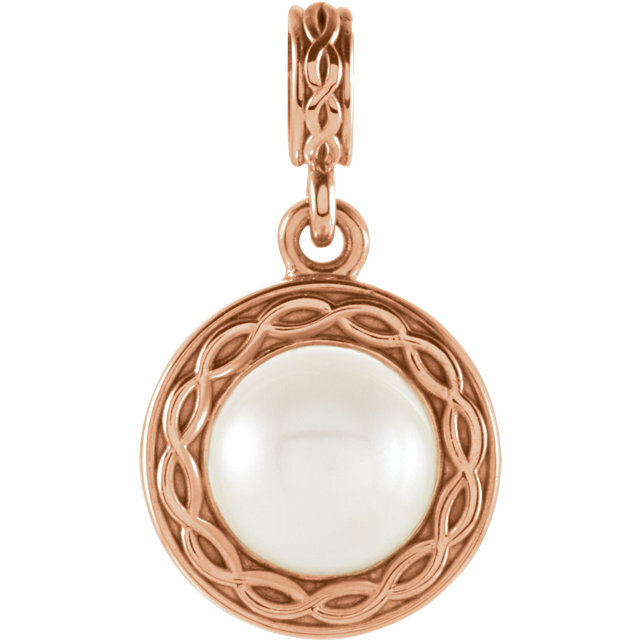 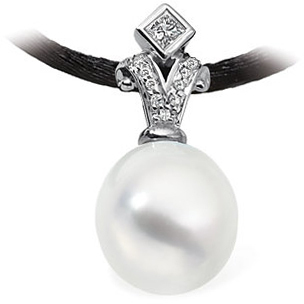 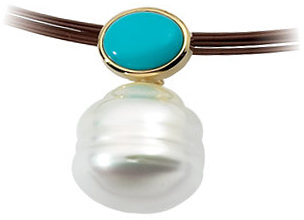 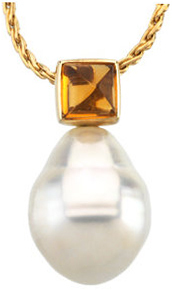 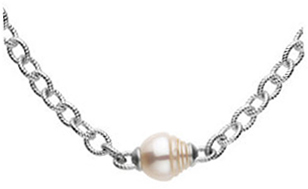 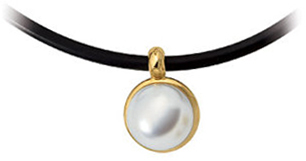 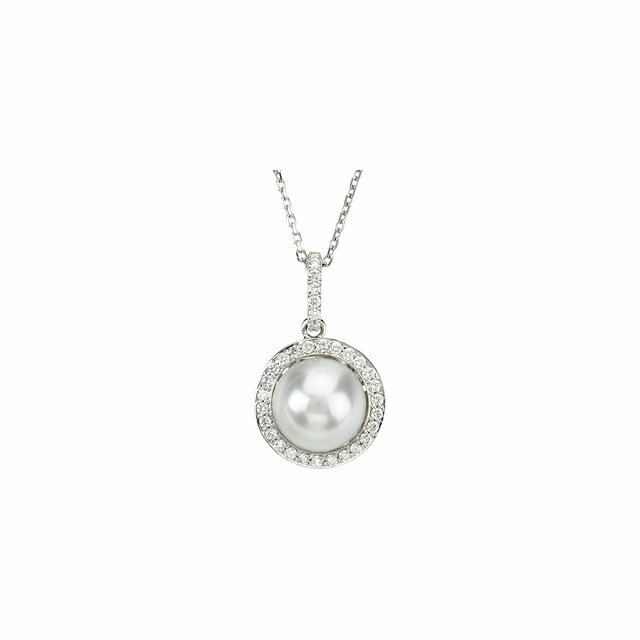 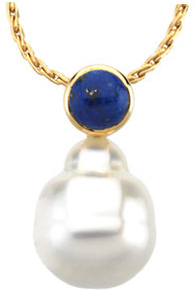 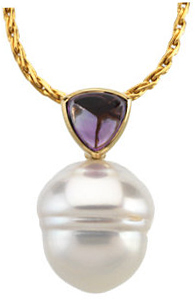 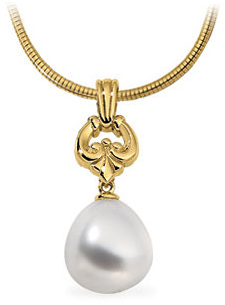 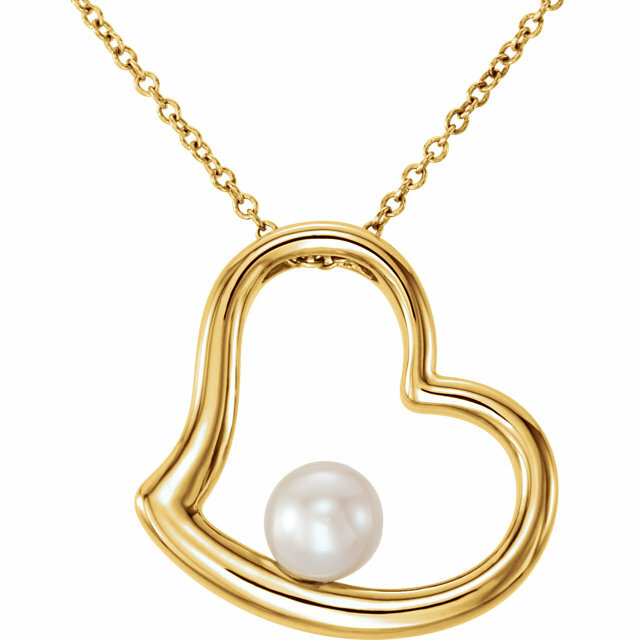 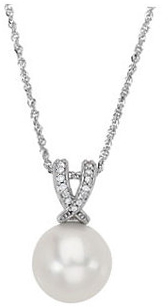 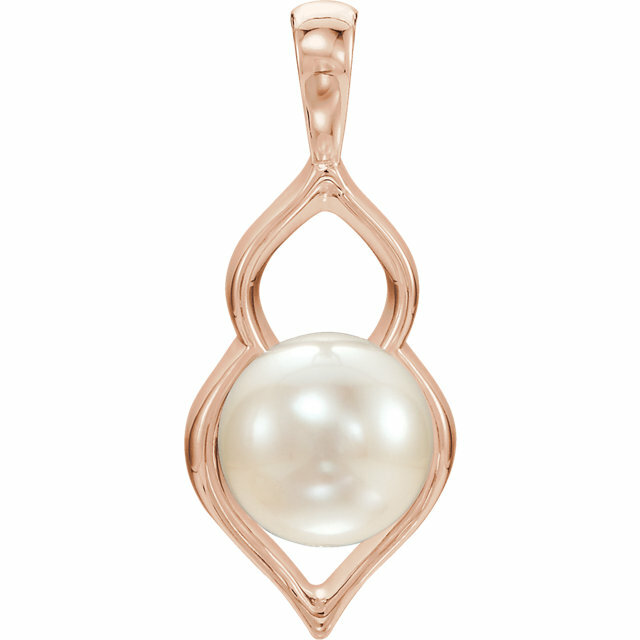 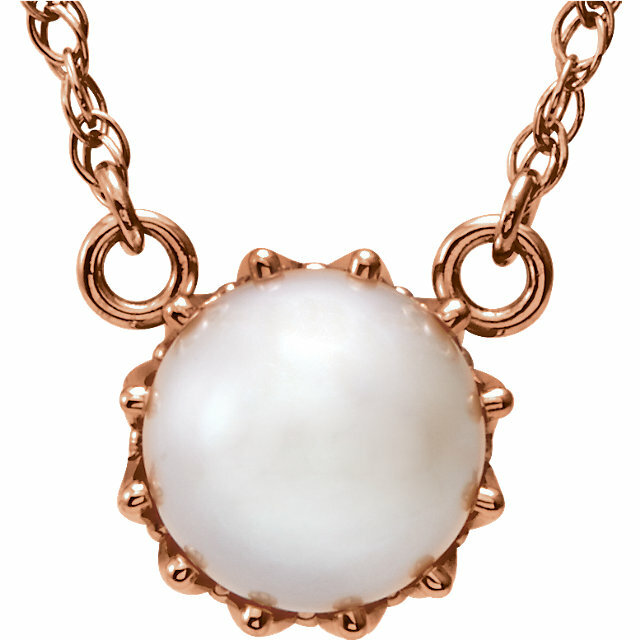 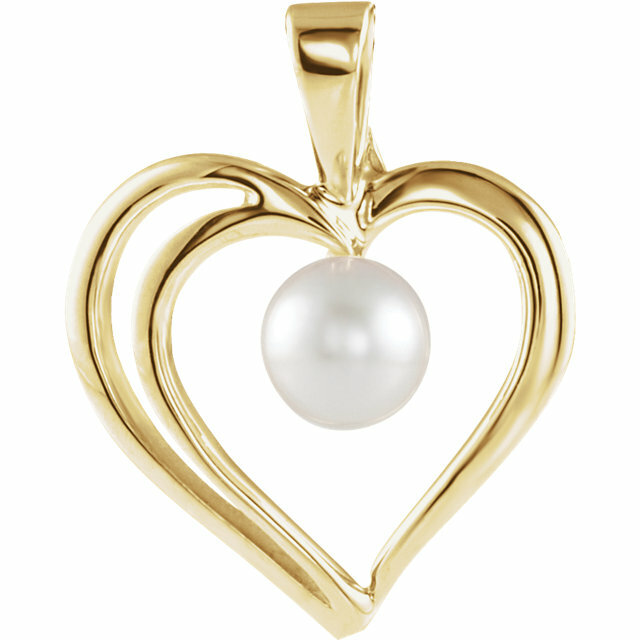 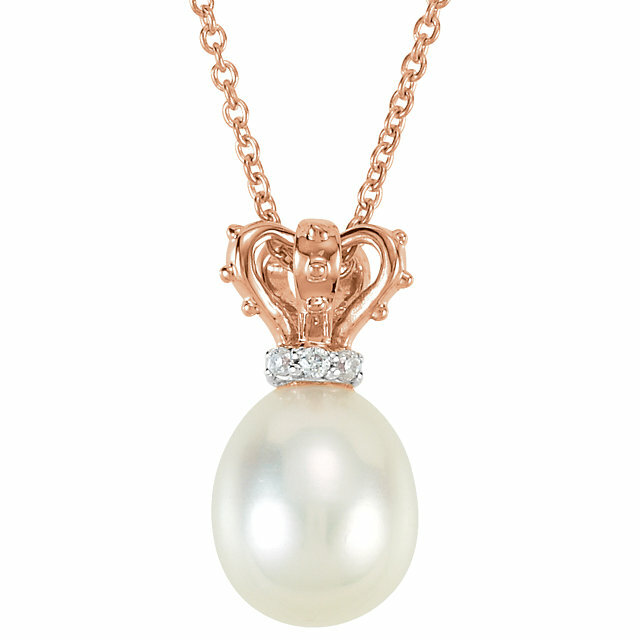 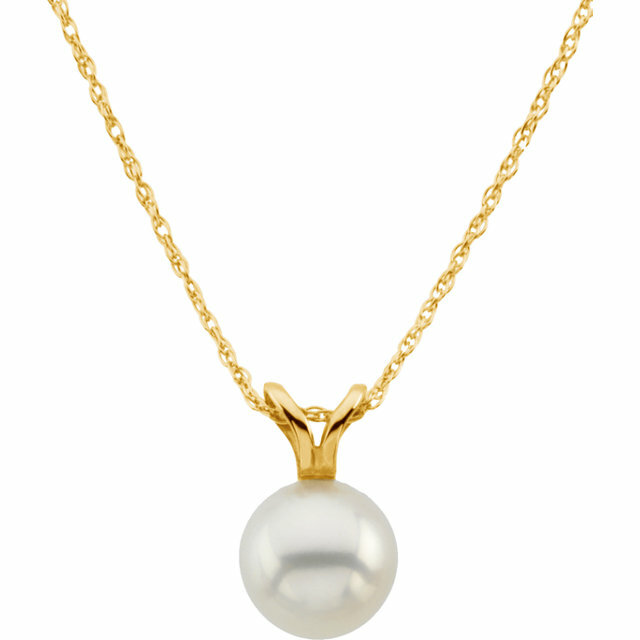 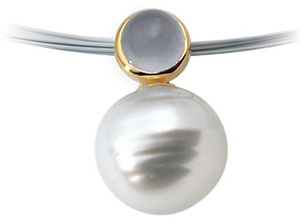 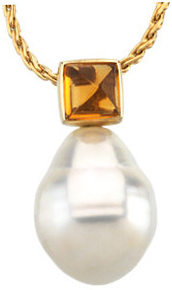 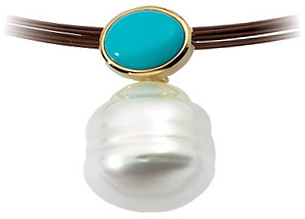 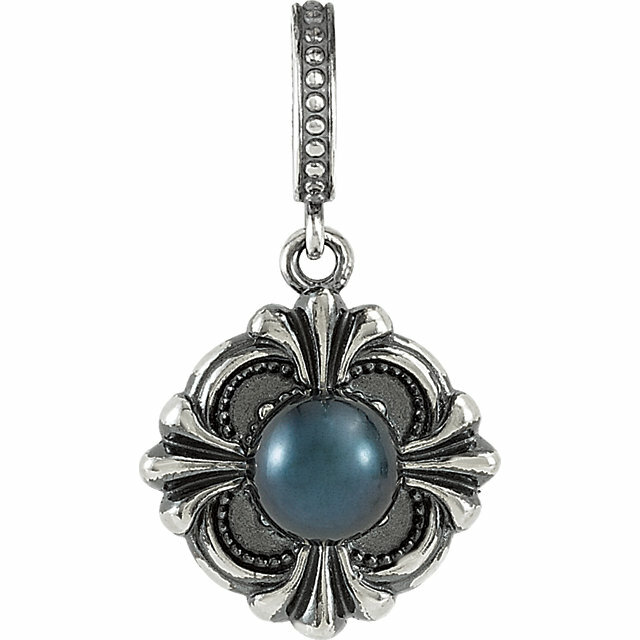 Shop for Gorgeous Pearl Necklaces � Perfect for a Quick Gift. 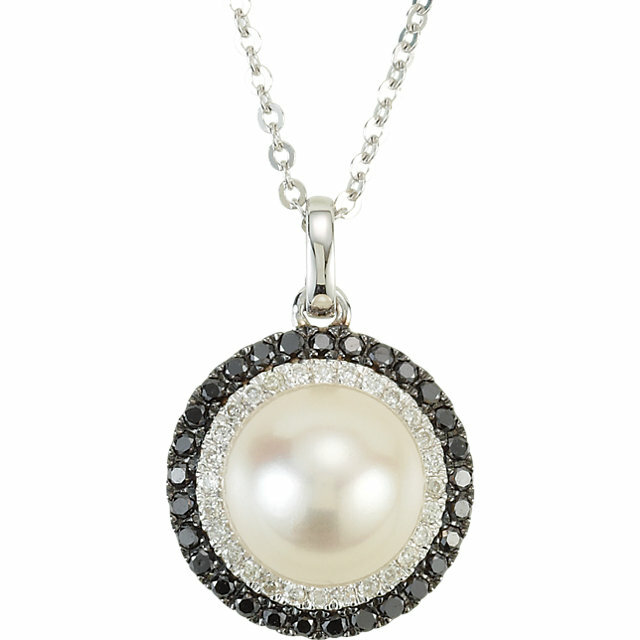 With fast, FREE shipping every day, you can have the perfect gift ready in no time. 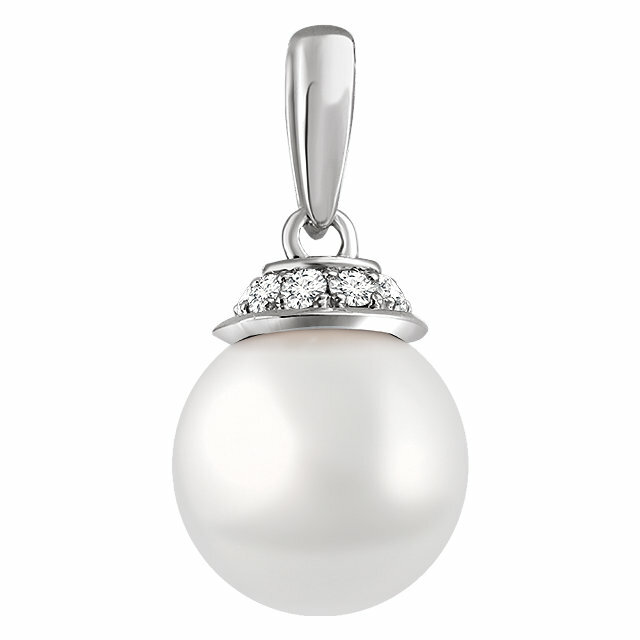 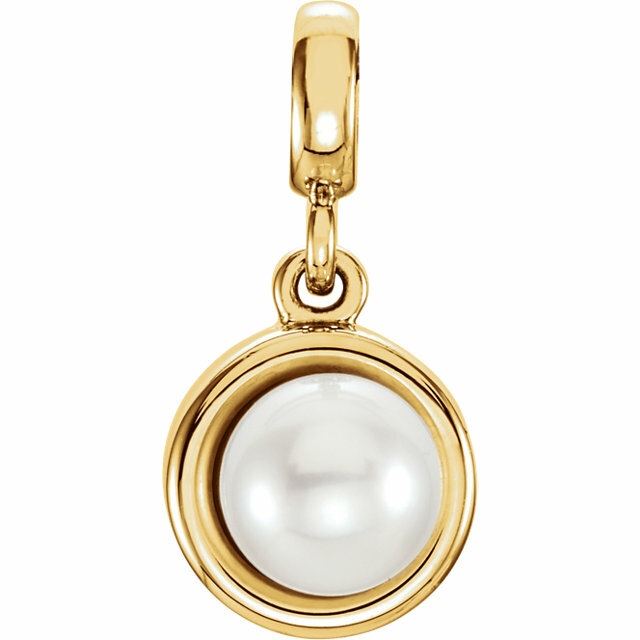 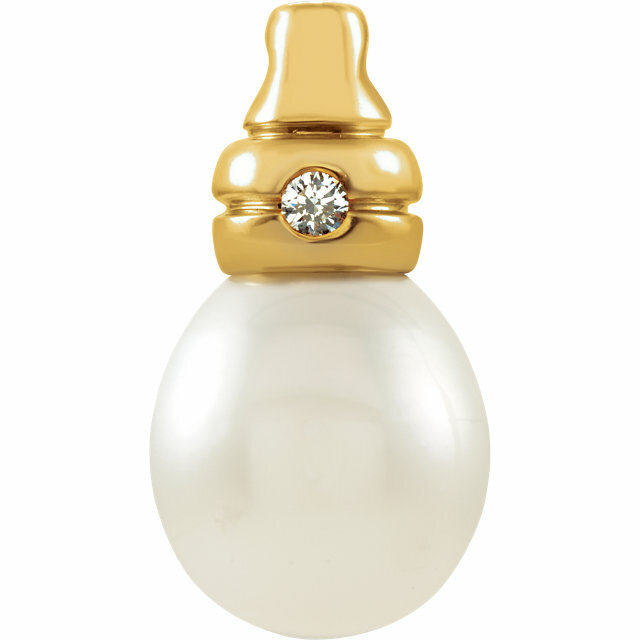 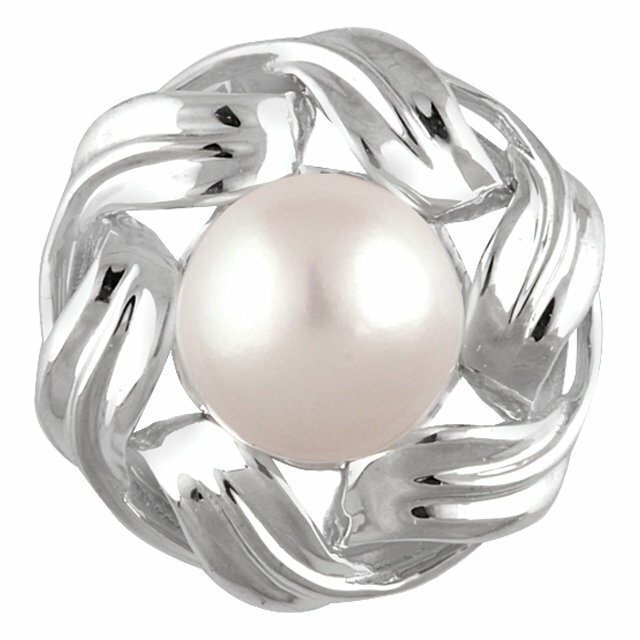 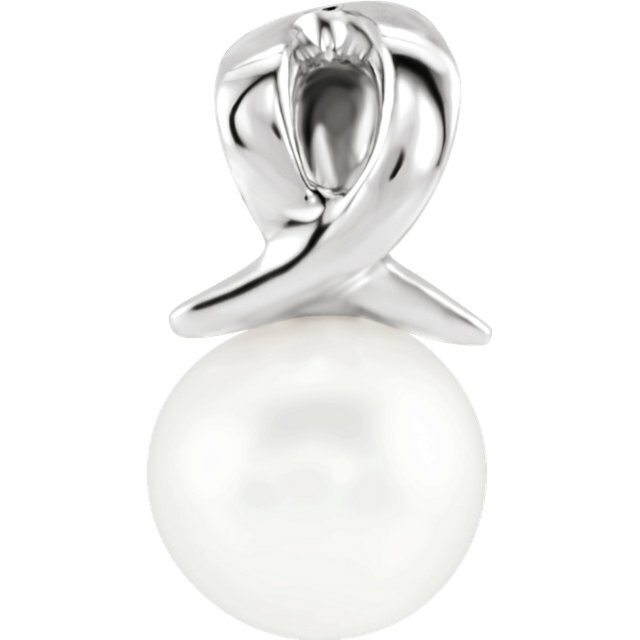 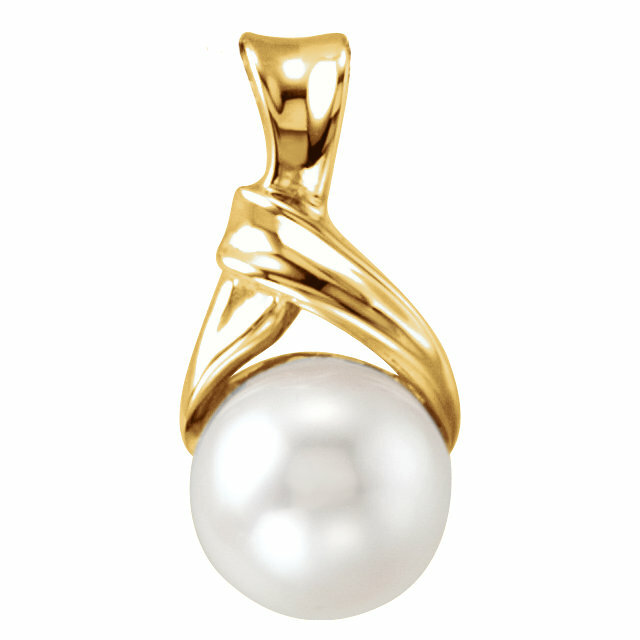 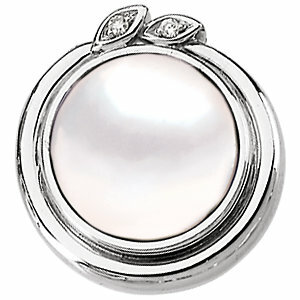 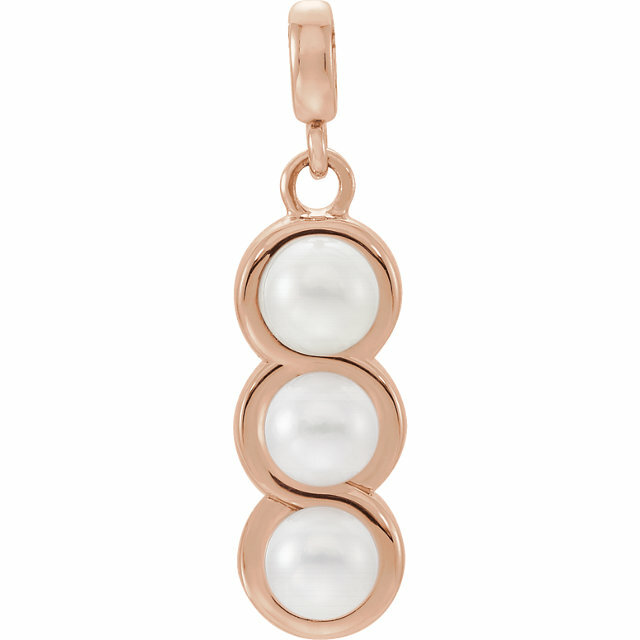 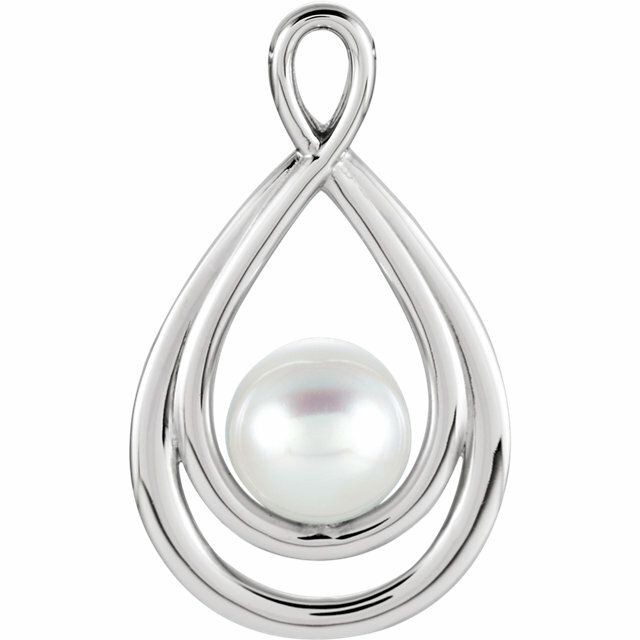 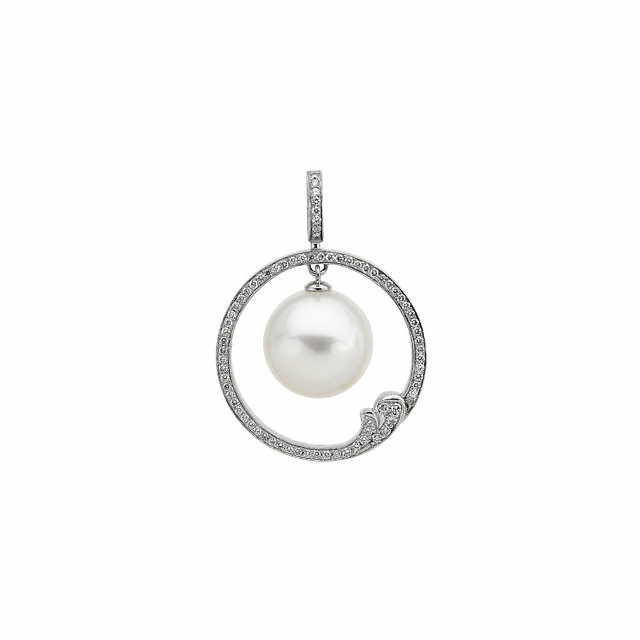 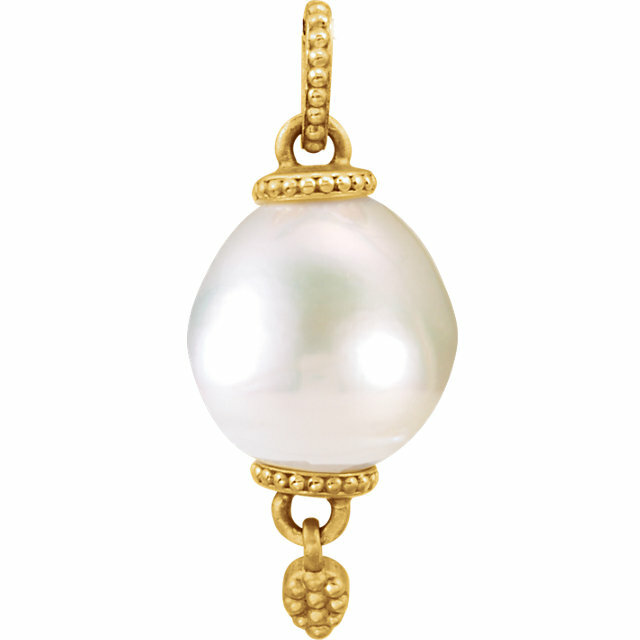 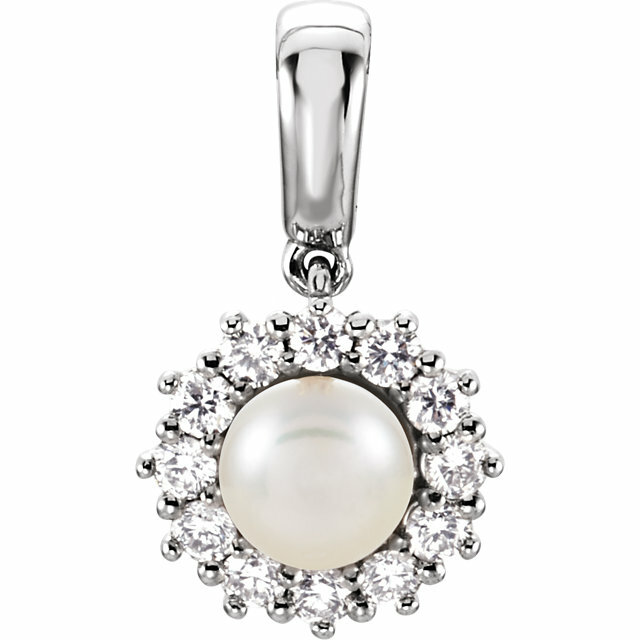 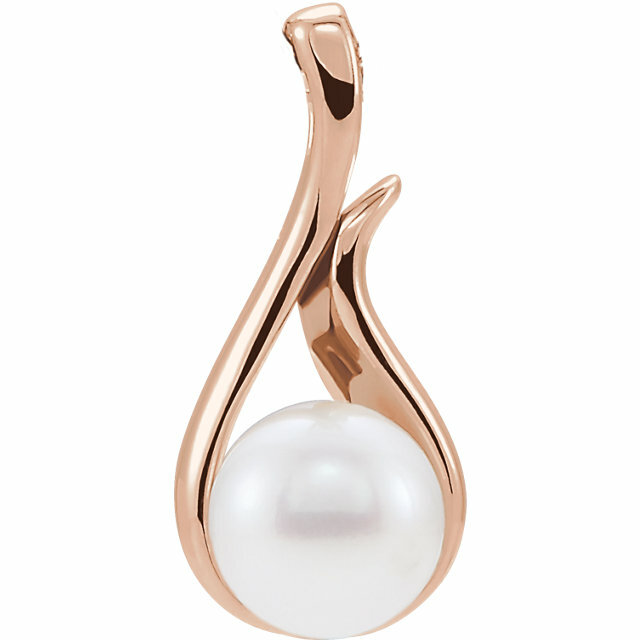 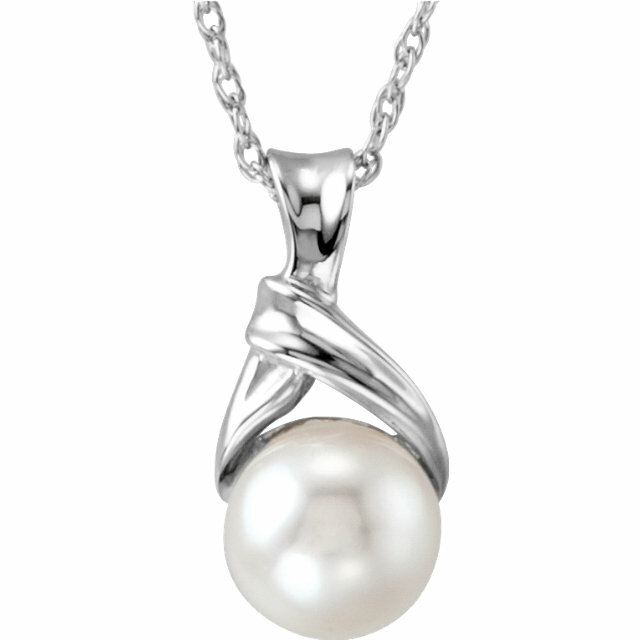 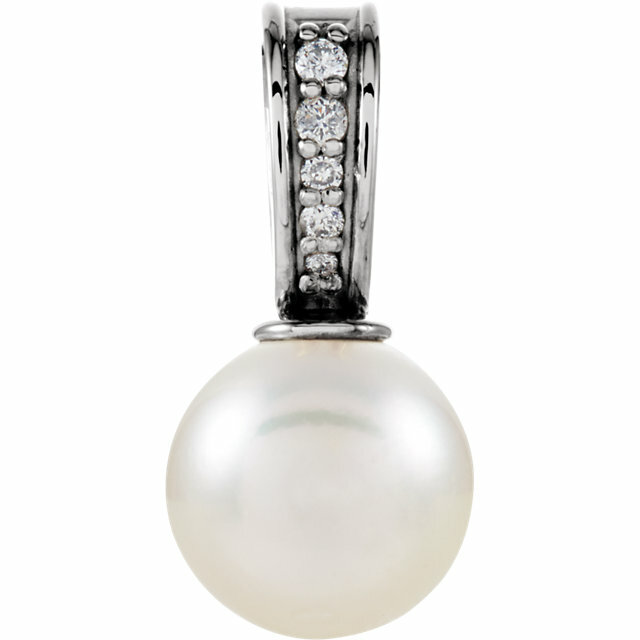 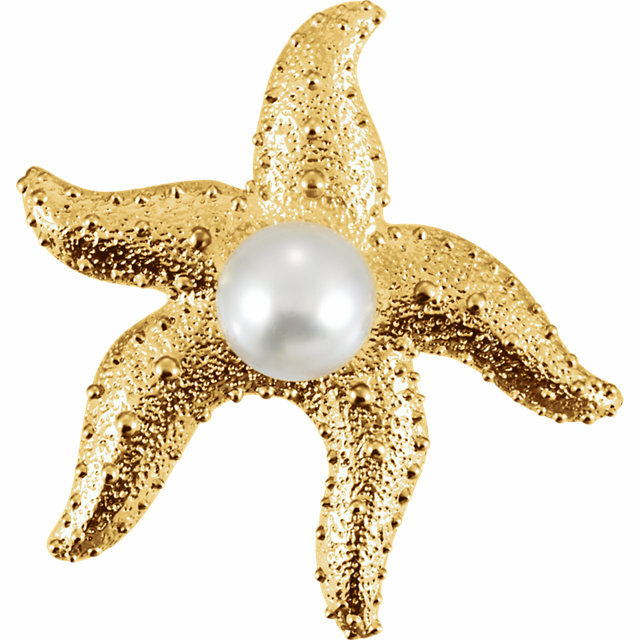 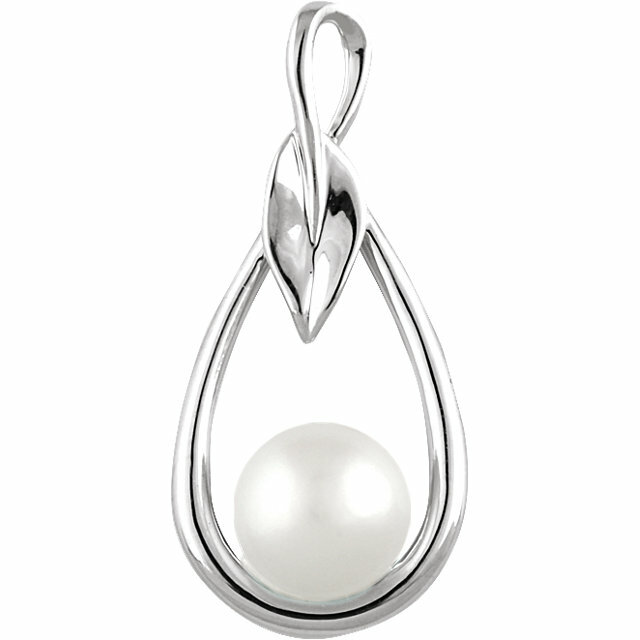 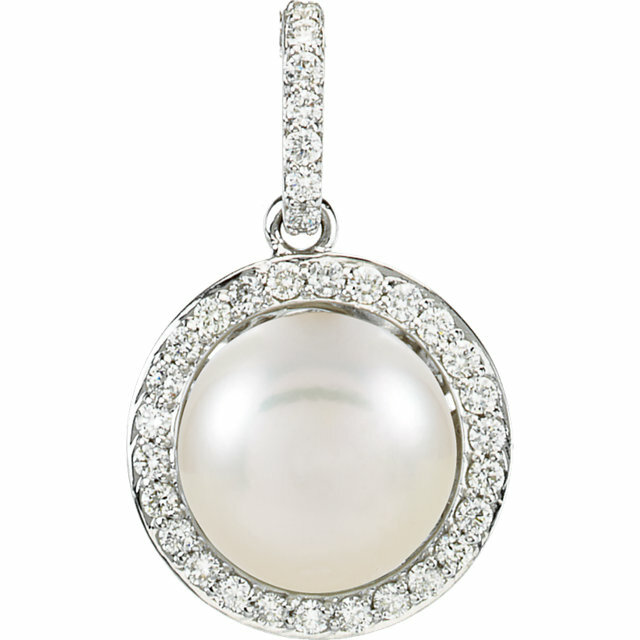 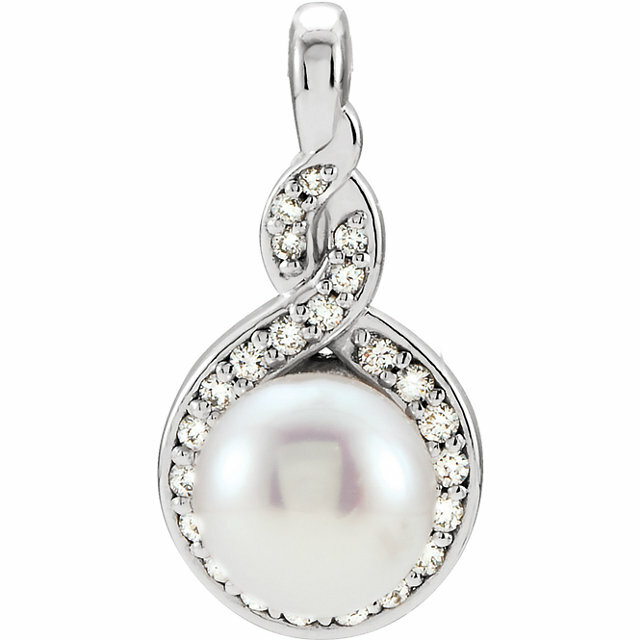 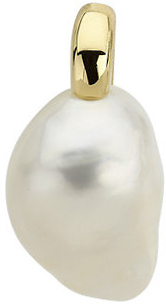 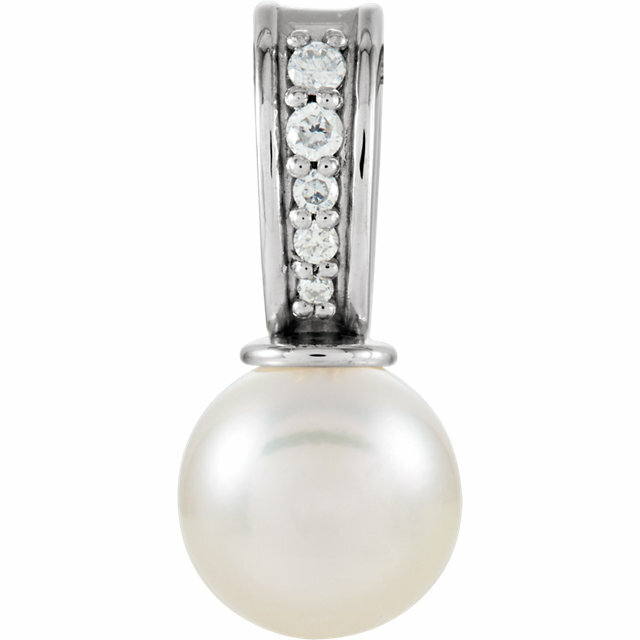 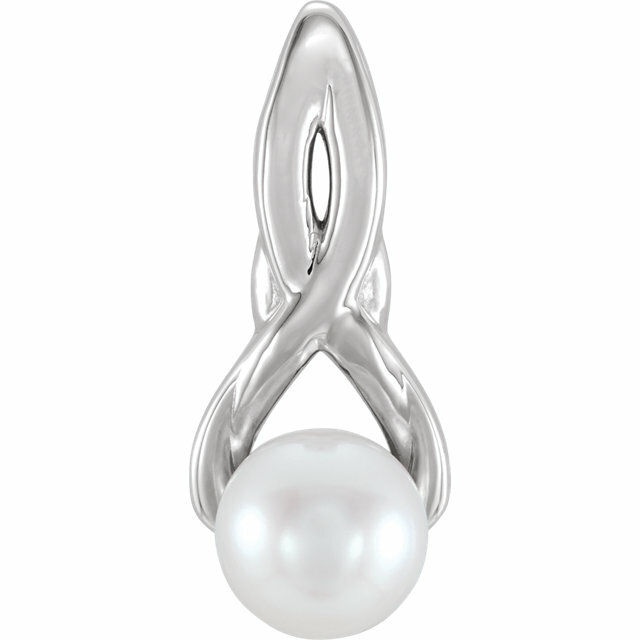 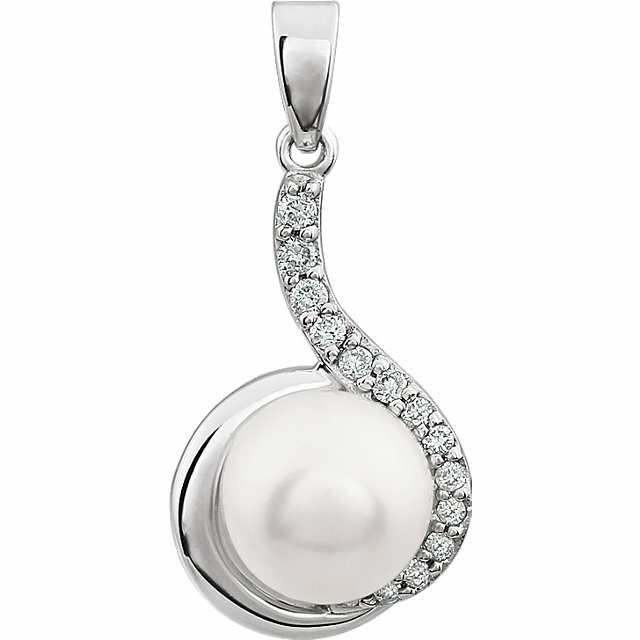 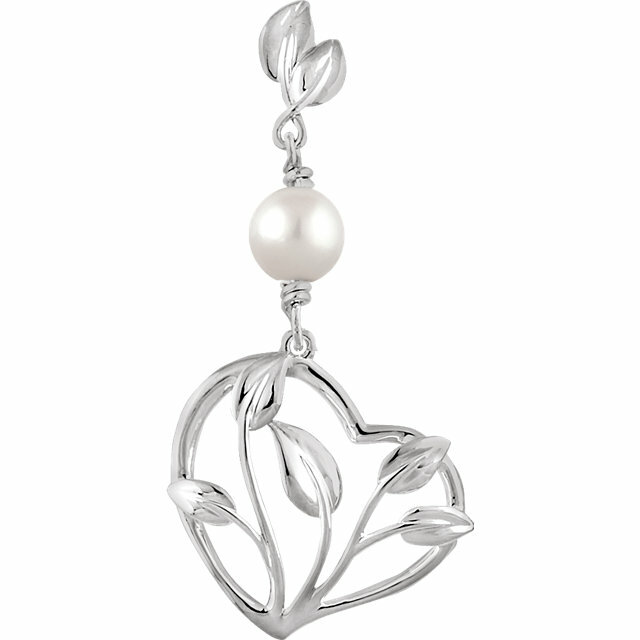 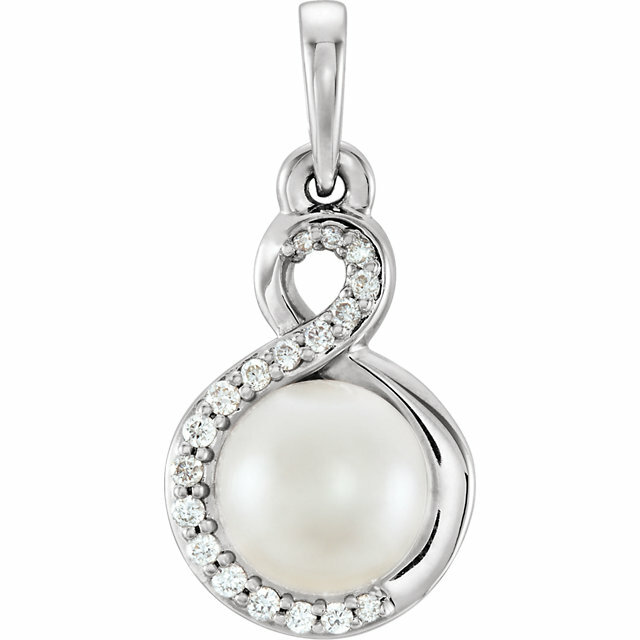 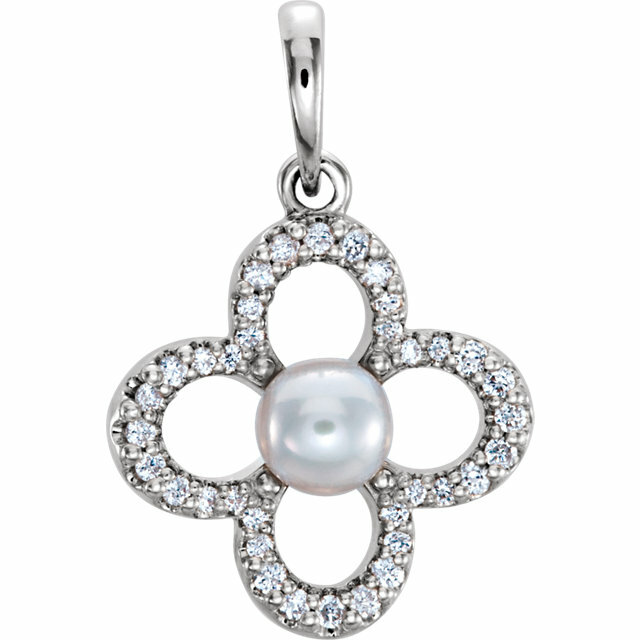 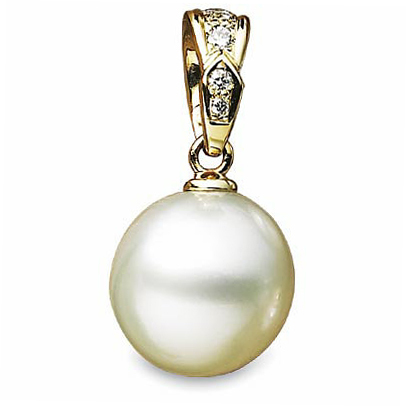 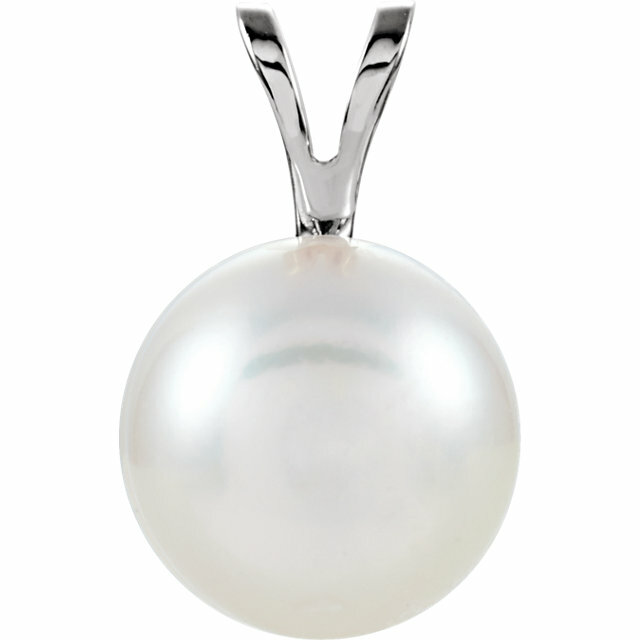 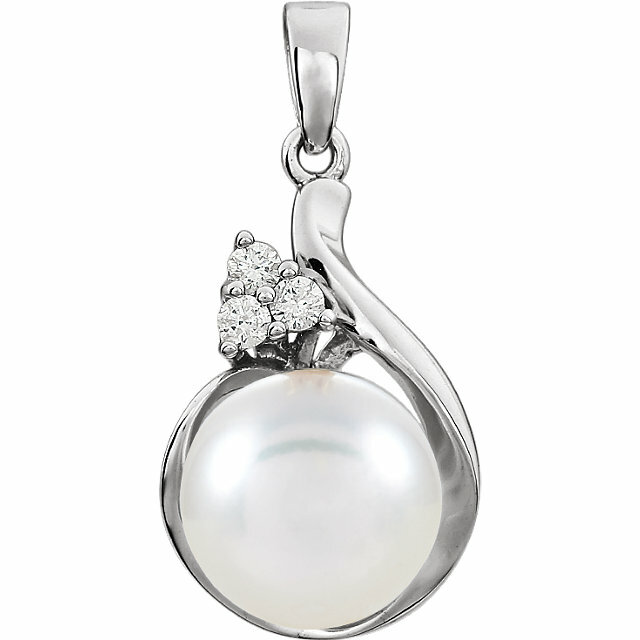 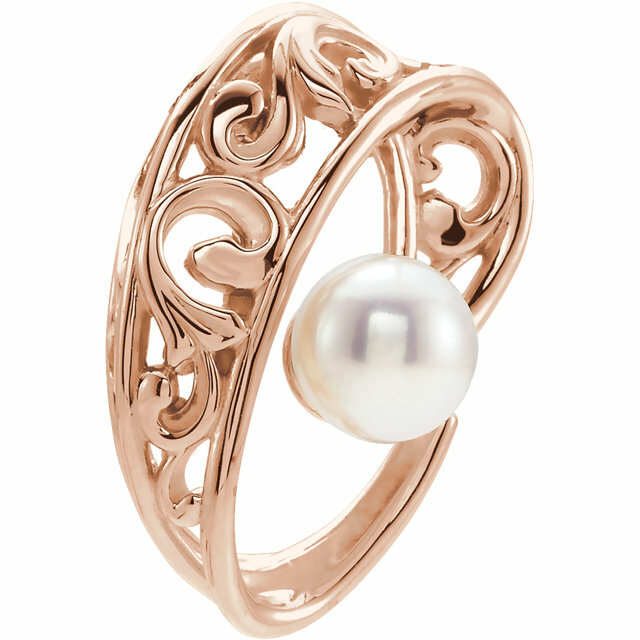 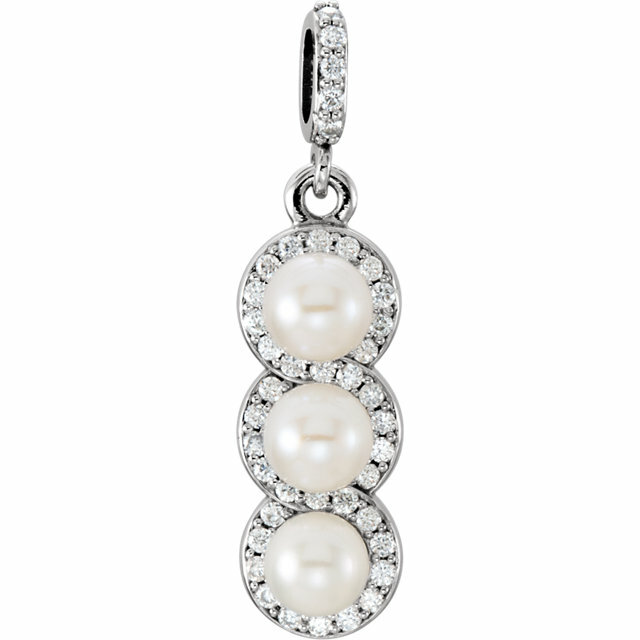 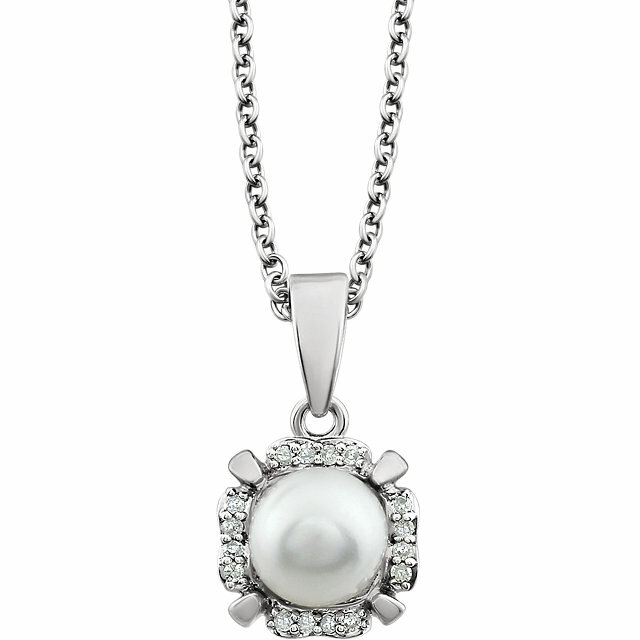 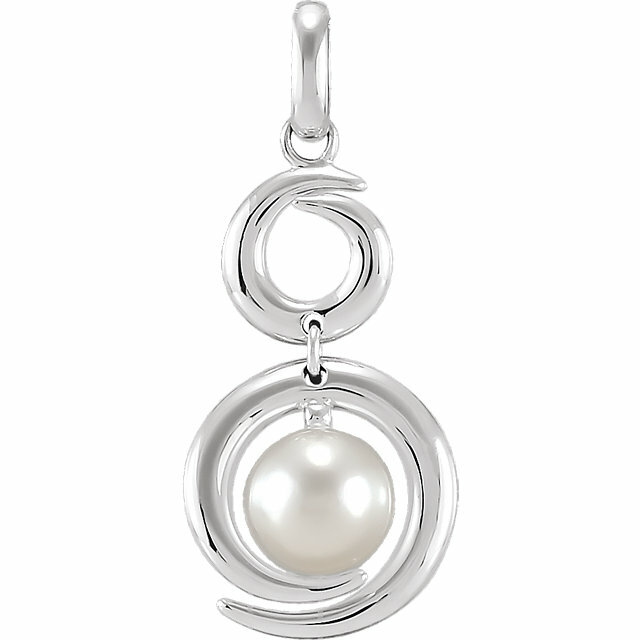 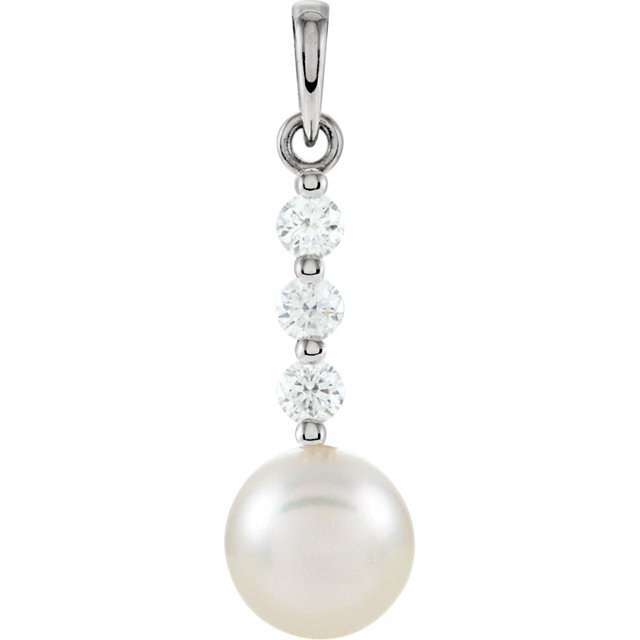 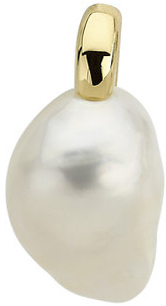 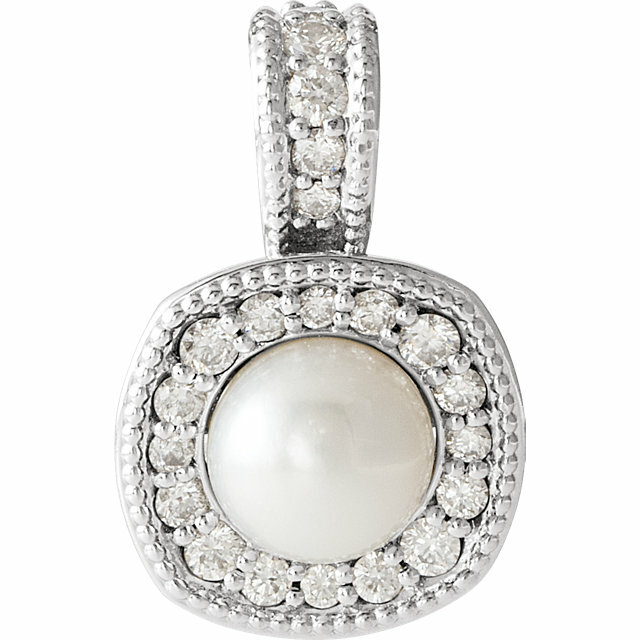 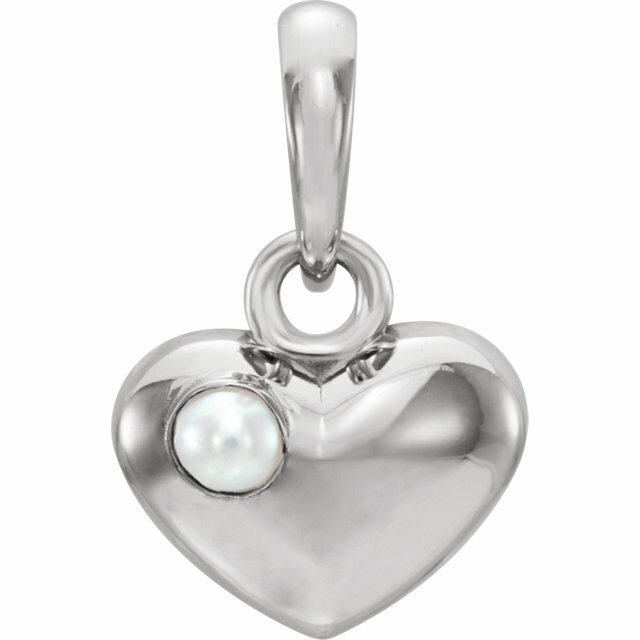 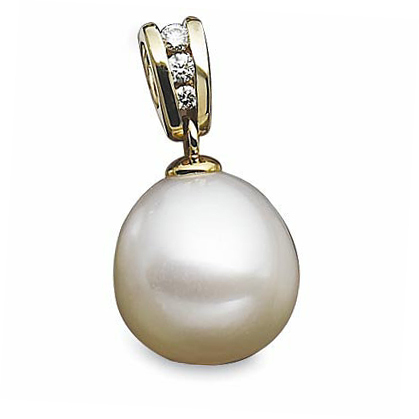 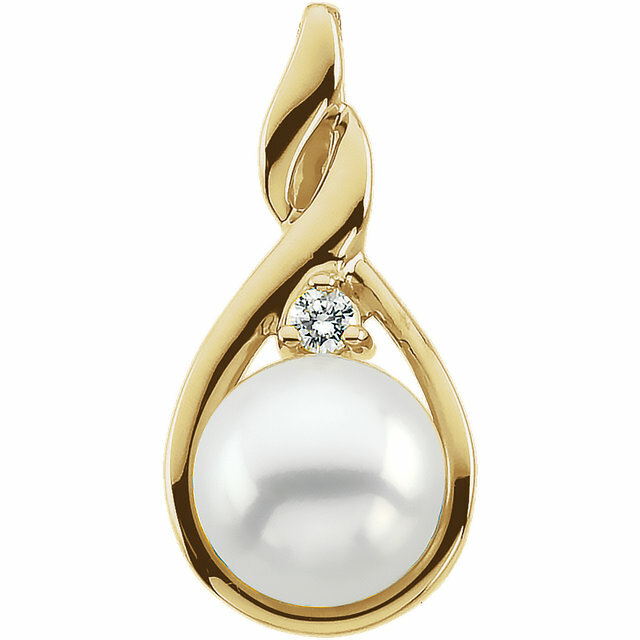 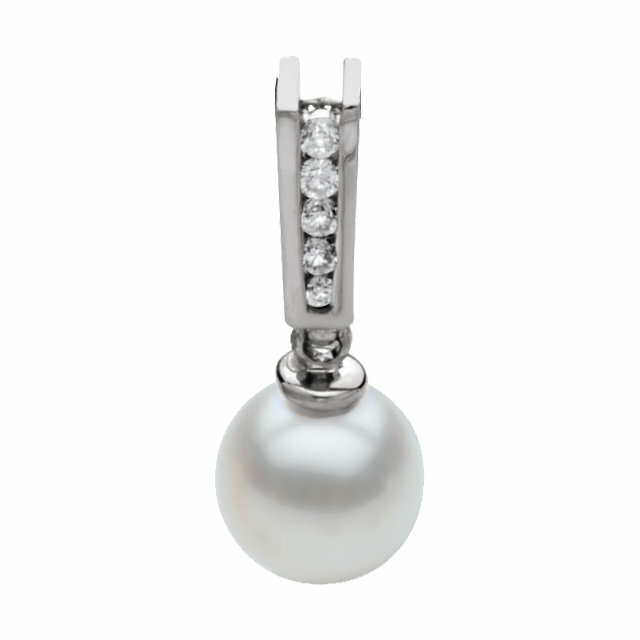 Since they are the classic, everyone loves pearls and you will never go wrong with a Pearl gift. 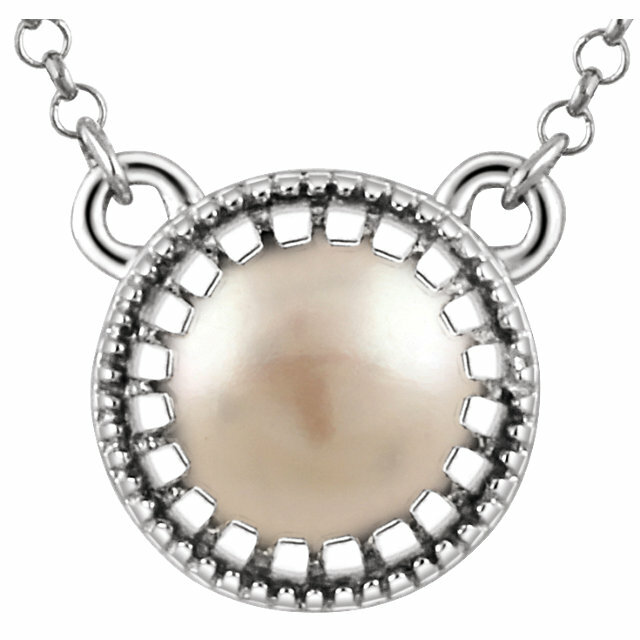 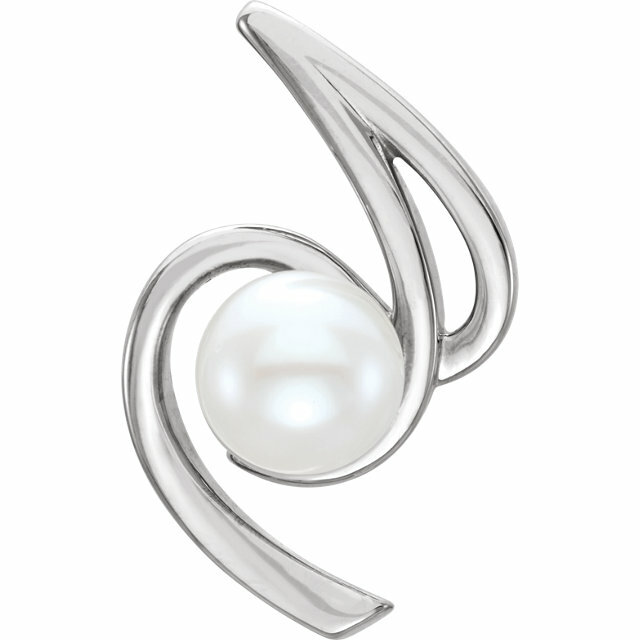 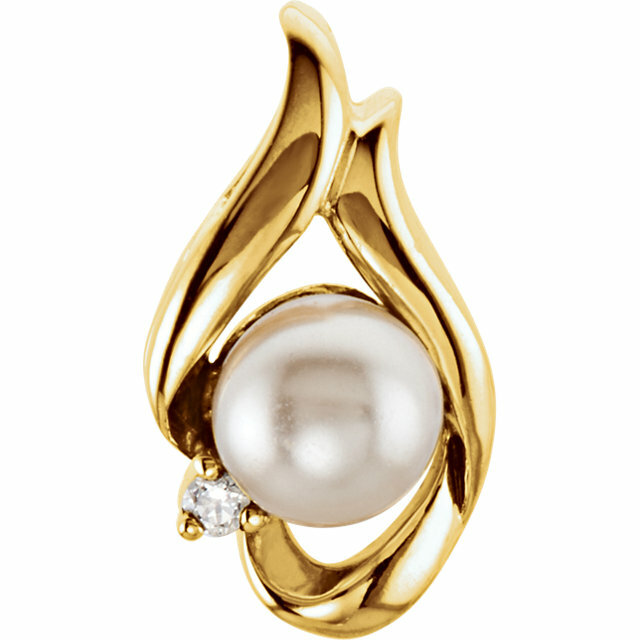 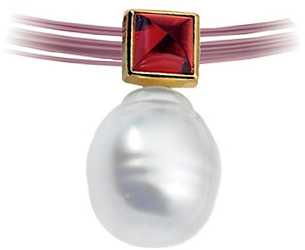 Be sure to look for matching pearl earrings, necklaces and bracelets for a complete set of matching Pearl jewelry.